Once again, those involved in the trip express sincere appreciation to everyone who supported the initiative in so many ways. 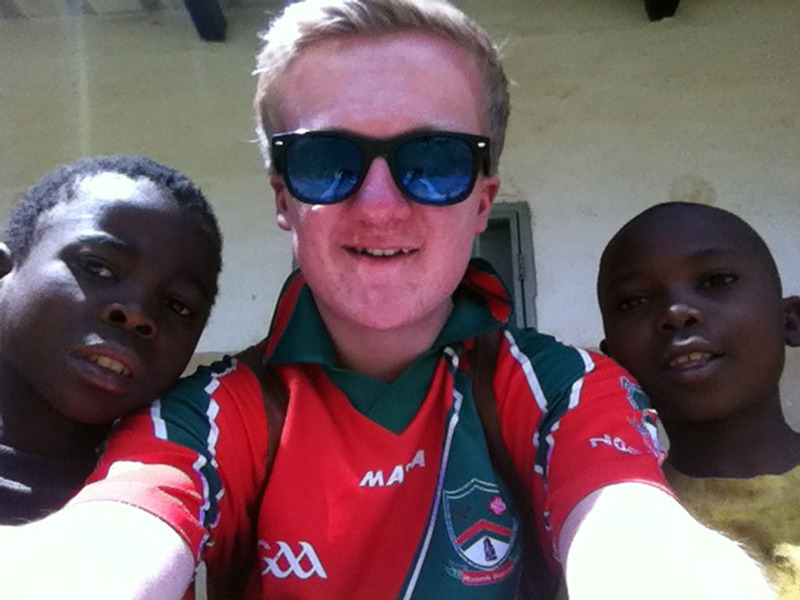 'I was chosen to travel to Zambia with a small group from my school, CBS Kilkenny, as part of the CBS Kilkenny 2014 Zambia Immersion Project. 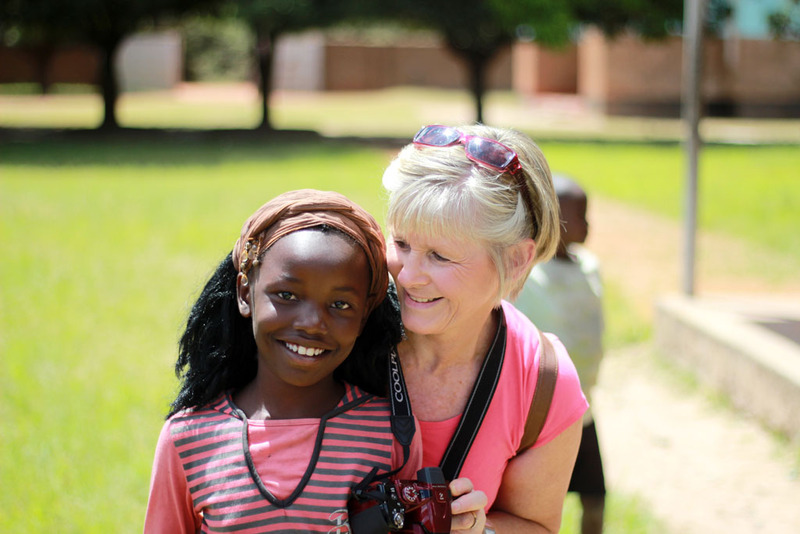 We spent ten days travelling and on the ground in Zambia, focusing in a region called Mufilira. 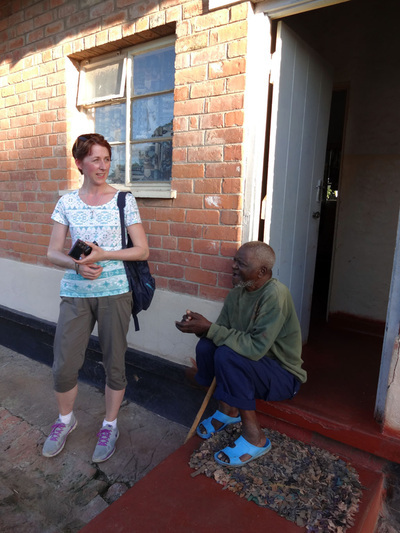 While in Zambia we saw a lot of sad things, what hit me a lot was an old persons' home we visited. The people living here seemed very upset, a lot suffering from diseases and not being able to move from one position for the whole day. We spent a lot of time in Murundu, people here lived in extreme poverty but came across as very happy people,. 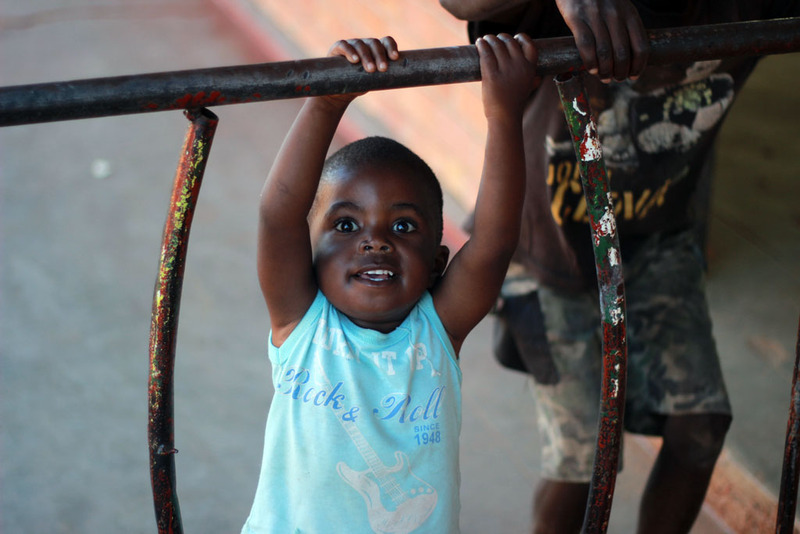 Children ran around smiling and laughing and overall seemed very content with what they had. Before I started my essay I was trying to think of a title to describe my time in Zambia. 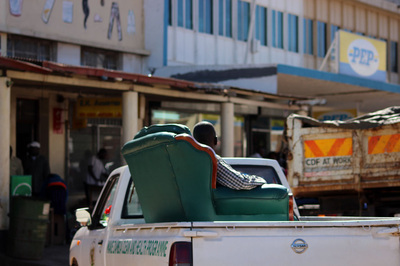 A few titles came into my head like “My Zambian Trip” and “My Zambian Holiday” but I realised that going to Zambia was not a holiday or a trip. It was an experience, an experience that I will never forget. I have met some wonderful people and made some great friends. 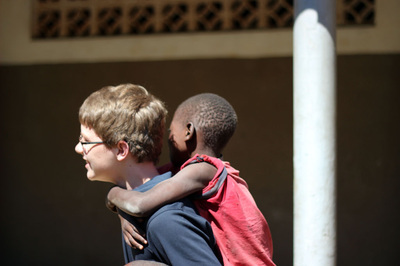 Before going to Zambia I was nervous about whether I would get along with everyone but once we got there it was as if I had been friends with them my whole life. 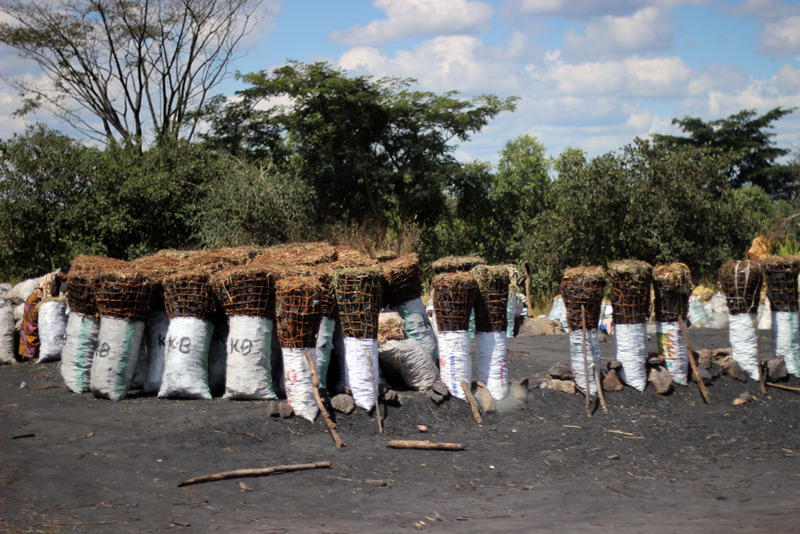 To see the struggles that the people in Zambia have to go through on a daily basis really makes you realise how lucky we are. The things that we take for granted here in Ireland are non-existent there, for example being able to drink straight from a tap and even having a roof over our heads. This experience has been one of the best experiences of my life and I am honoured to say I got the chance to experience it all. Real friends brush eachothers teeth! Barry makes a new best friend, Gift. One of the things that struck me most about our trip to Zambia was that children who were old enough to work did so all day, and children who were too young were left to themselves all day with no form of structure from their parents, as they were working from morning ‘til night. We met many of these young children during the day, all of whom were delighted with the attention from the visitors. 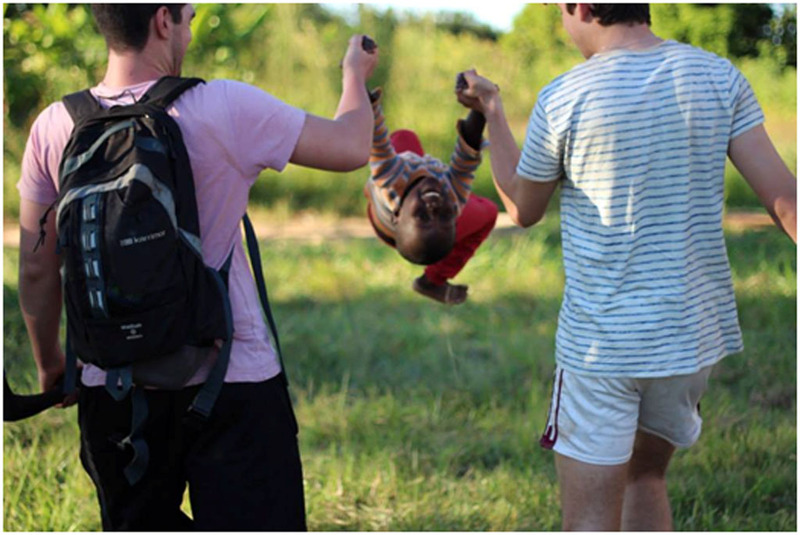 Gift, a 3 year old boy, was one of these kids, and we all took a shine to him the moment we met him. He had very little English, other than “Hello”, “yes”, and “drink?”, but his enthusiasm resulted in us spending lots of time with him. Like the rest, he had no structure for the day and as a 3 year old it could be quite hard to look after oneself in such a competitive environment. 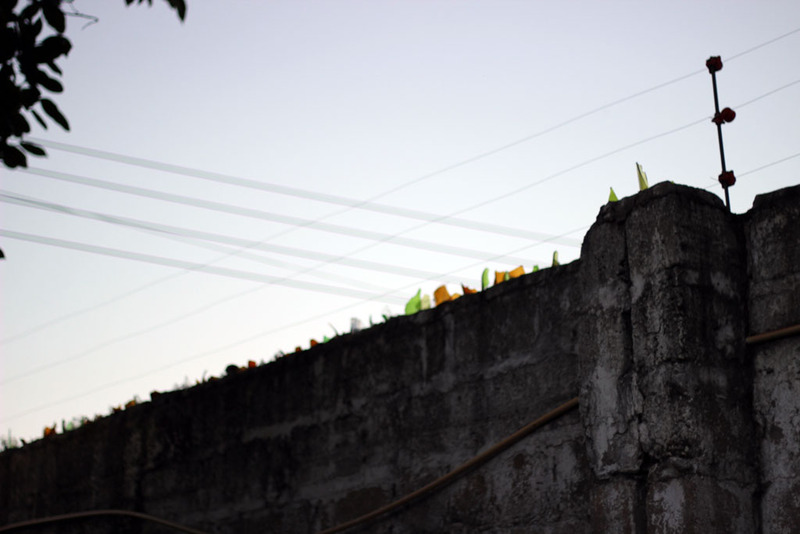 Looking back on all this, it highlights how problematic poverty really can be. 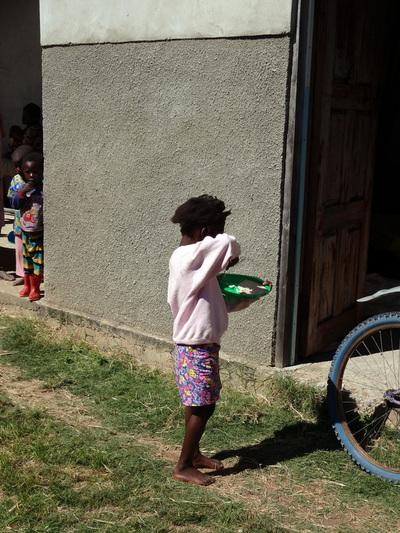 As well as the obvious hardships it brings, there are associated problems such as an unavoidable neglect of children in the poverty-stricken areas. 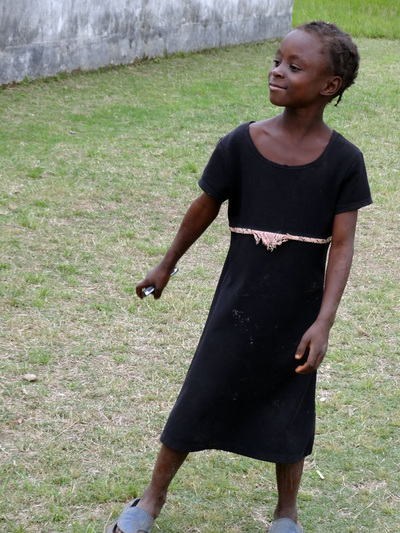 Although the WaSH programme provides much needed facilities to help these communities thrive, I think what has had the most lasting effect on me was the look of joy on the kid’s faces as they got to spend time playing with us older people and thus forgetting about their problems, even if it was for just a short time. 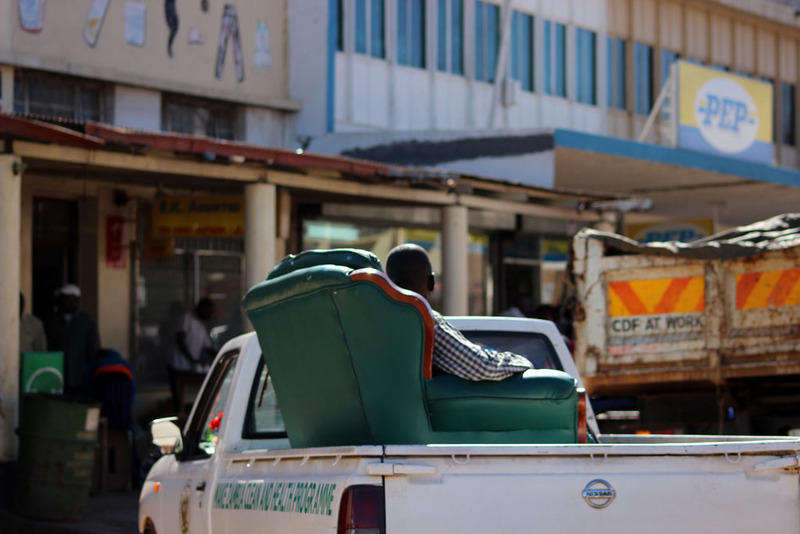 On the 10th of April all I had was a suitcase, a bag, a camera and some pre conceived ideas about Zambia. When we arrived these ideas were nothing compared to the reality of the place. Zambia had a strange beauty to it. 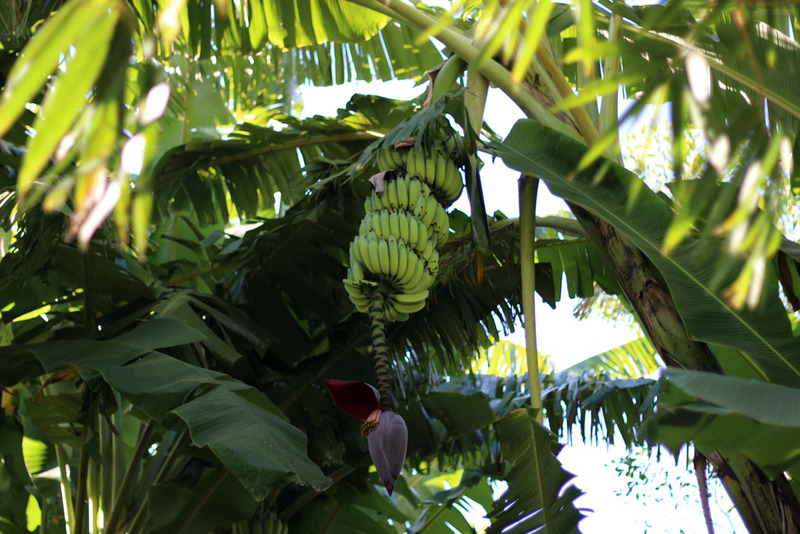 It had a warm, thick scent and a sun that beat down in powerful rays. 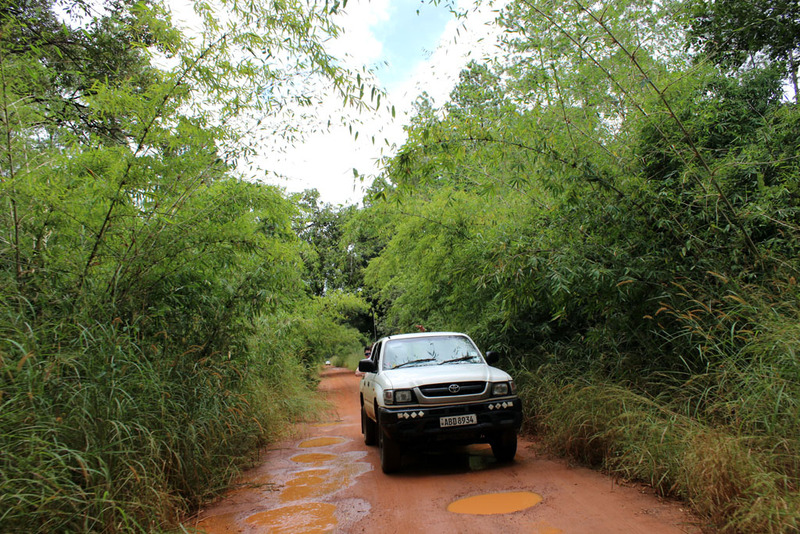 Red roads and thin trees spanned in every direction. 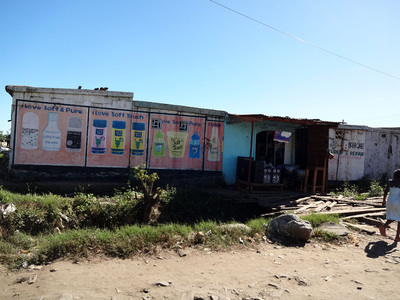 What amazed me most was the poverty and the emotion in the place. Everywhere you went there was poverty but if you waved to someone they would give a cheerful wave back save for a few. 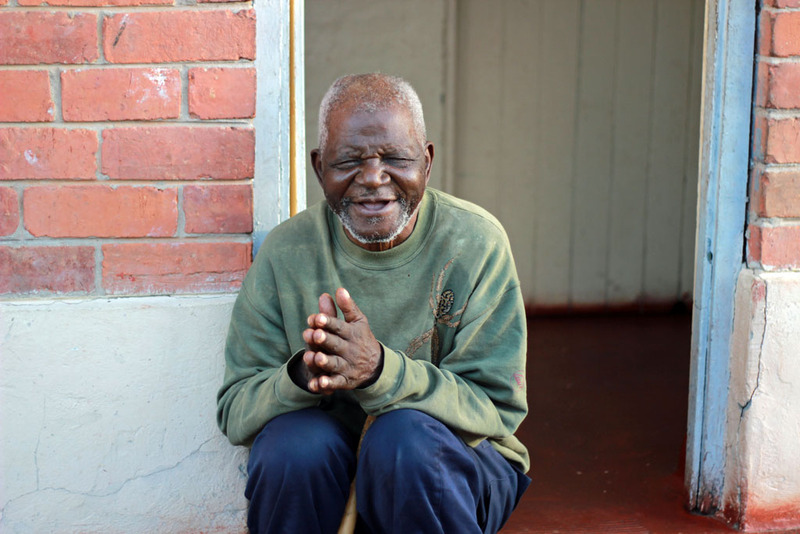 Even though their lives were hard and many were miserable they found things to live for. 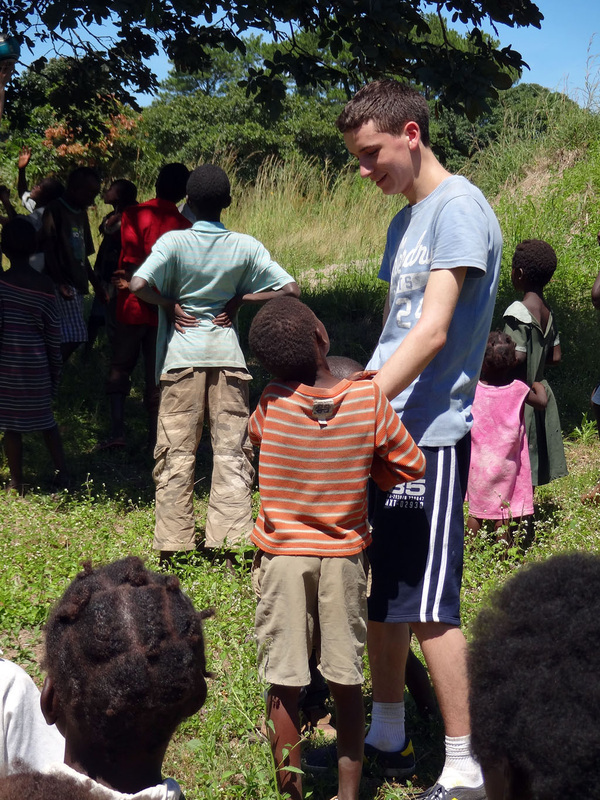 The children in Murundu had the biggest effect on me. They followed us everywhere we went and all they asked for was us to hold their hands, and we did. These children live in complete poverty with little food and little hope but they were always smiling, happy and cheerful. I think that speaks for itself when we think of our lives. 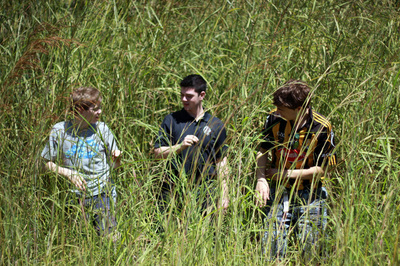 Overall the trip was an amazing life experience and I will have fond memories of it. Although we saw heartbreaking things there was never a shortage of good times and great craic. The experience was uplifting and inspiring and hopefully I will return sometime in the future. I was very lucky to be one of nine students picked to travel to Zambia. 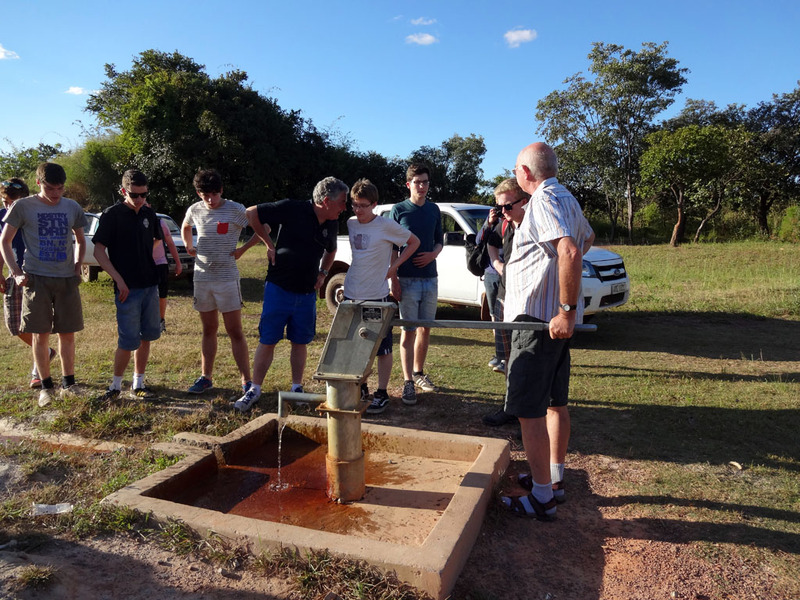 Our journey out there was organised for us to see first hand the amazing work being carried out by the Christian Brothers Community in Mulfulira. 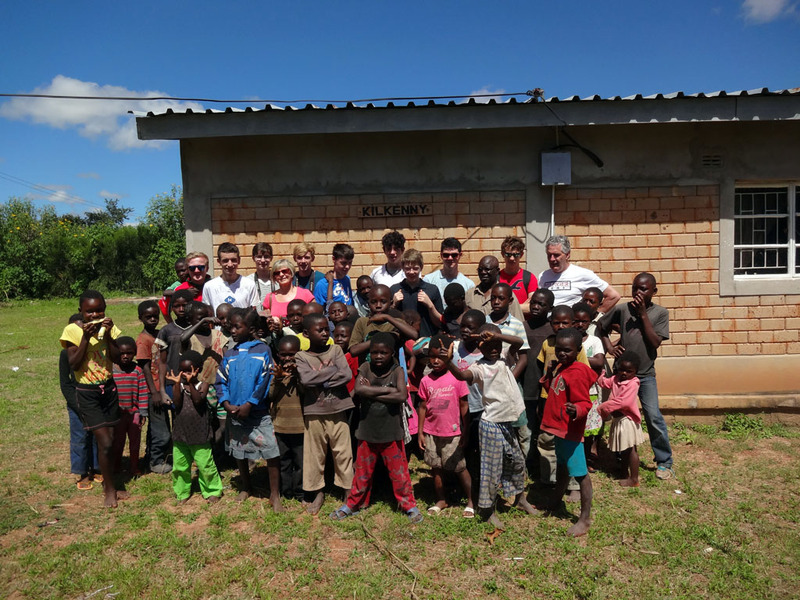 The Brothers are involved in lots of projects which are greatly improving the lives of the Zambian people, for example the WaSH proramme, houses for medics, and houses for teachers. The project which I was very impressed with was the Murundu Development Centre. 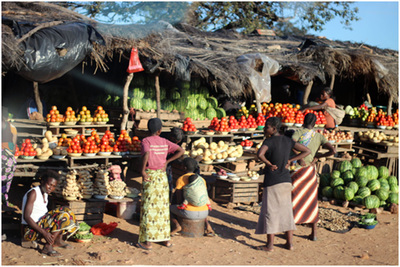 Murundu is a large rural village about 15km from Mulfulira. 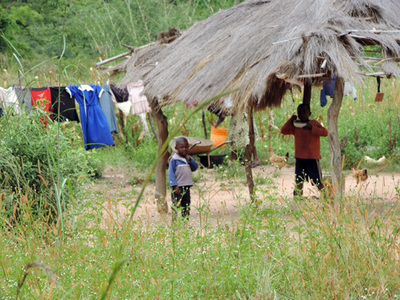 Most people living here are very poor and live in mud houses. The centre was set up to train those people who left school early for one reason or another in carpentry, metal work, agriculture and building. 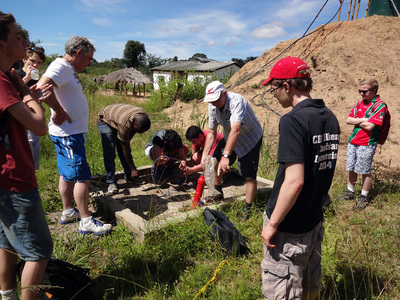 After two years training they are well equipped to find work. We made our way around Zambia in two pick up trucks and we were exposed to the hardships faced by these people every day. 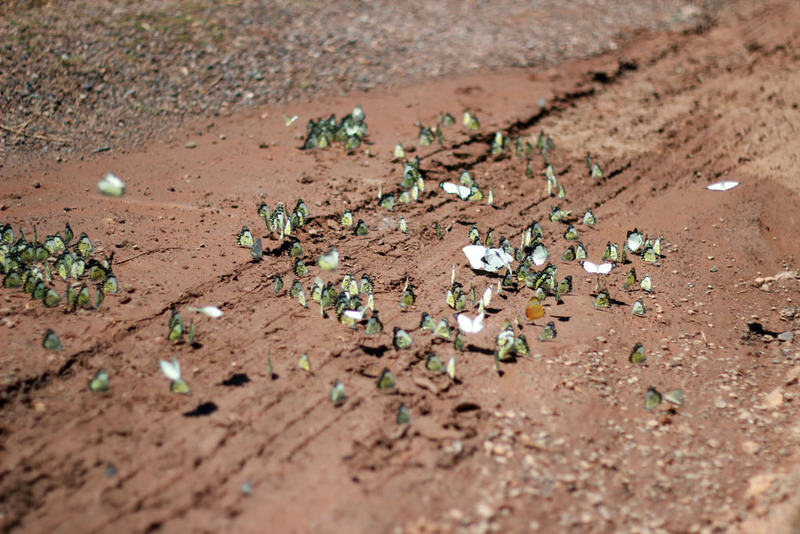 Roads are just red dirt tracks full of potholes. 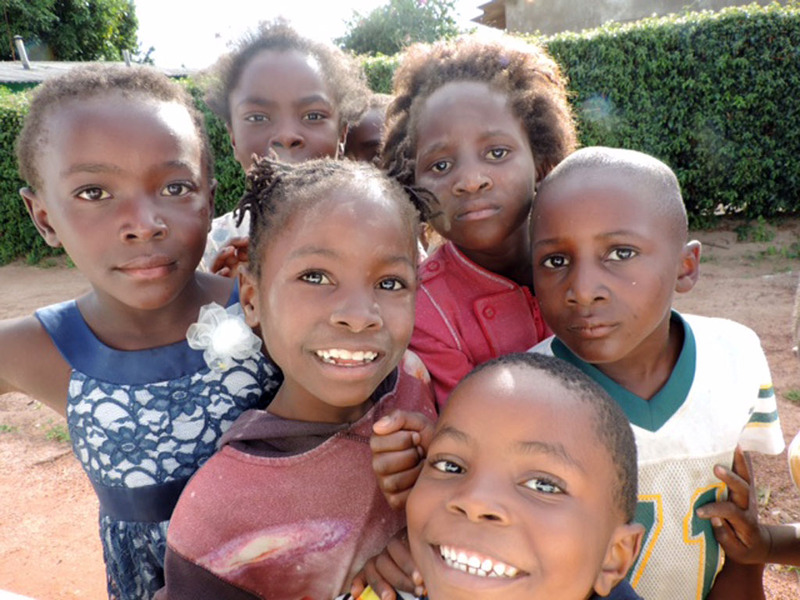 I was greatly struck by the fact that the children were all the time smiling and friendly despite the fact that they have so little. 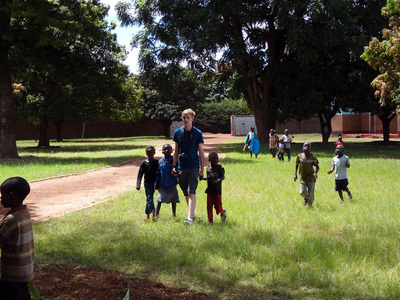 The children followed us around everywhere and all they wanted to do was hold our hands. 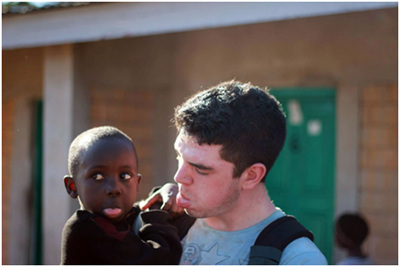 It made me realise how lucky we are here in Ireland and it helped me appreciate all we have. 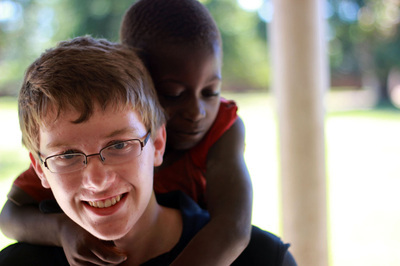 Overall the trip for me was an amazing experience and one that I will never forget. 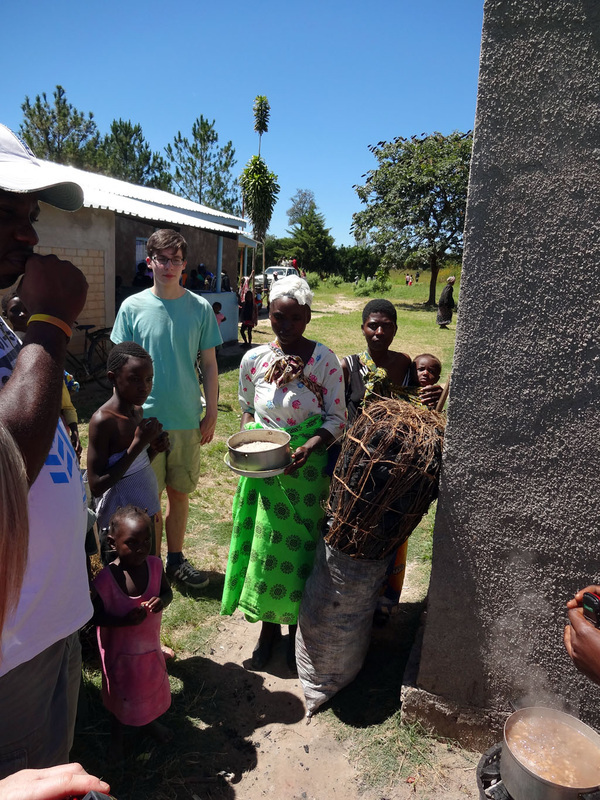 The Christian Brothers are doing tremendous work for these people and it made me realise what a difference a group of people can make in helping a community. On reflection I was delighted to fund raise for such a worthy cause and it gave me great heart to be able to help those lovely people in such a small way. After two tiring days of travelling, we reached Mufulira in northern Zambia where we stayed with Br. Mick O’ Donoghue and two Zambian Christian Brothers, Br. 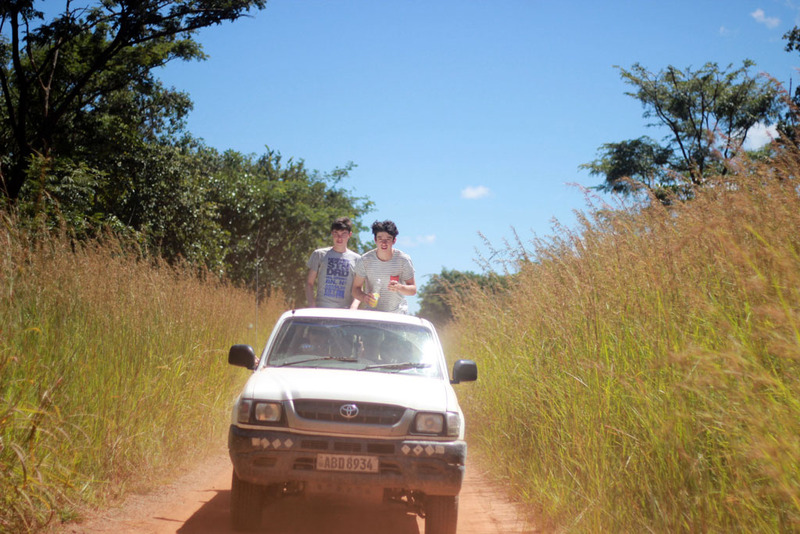 Lubassi and Br. Igidious. 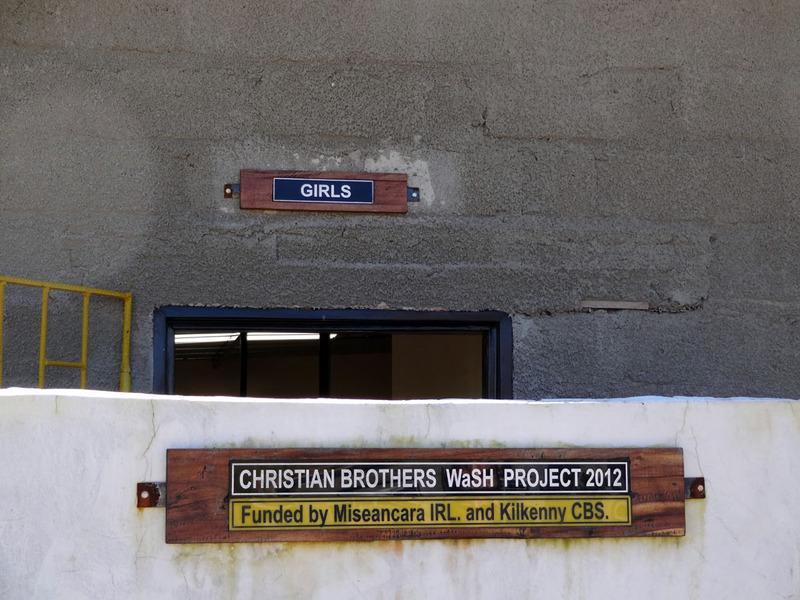 Each day, we set about visiting various projects run and set up by the Christian Brothers who have made a huge difference improving the lives of many people. 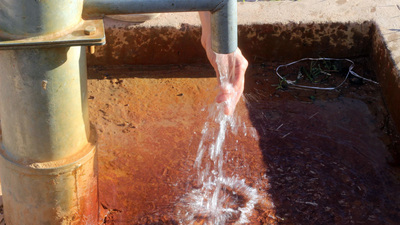 Among the projects we visited were several wells and pumps which provided schools and local villages with running water. 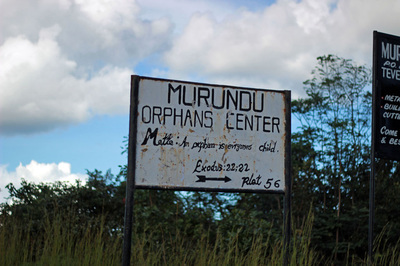 We visited the Murundu Development Centre which provided training for people with little or no education, in carpentry, metal work and computers, so that they can make a living for themselves. 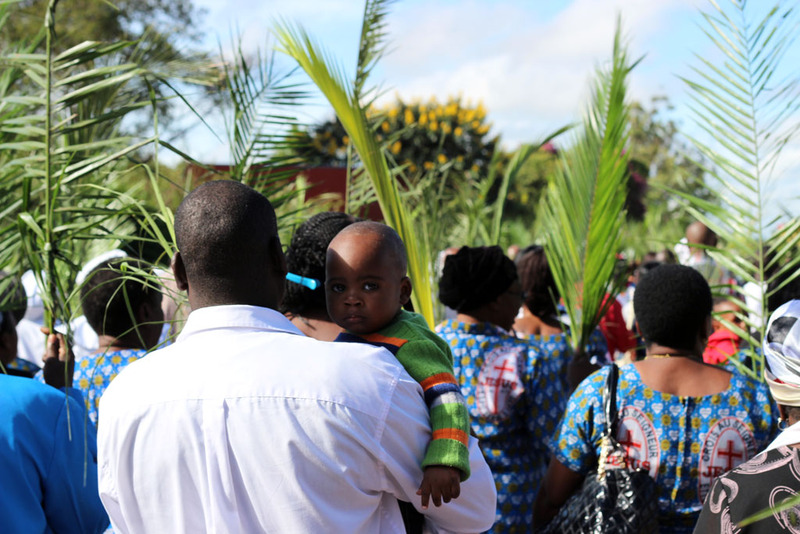 We also visited several clinics founded by the Christian Brothers which provided maternity services for women and a feeding programme for young children. 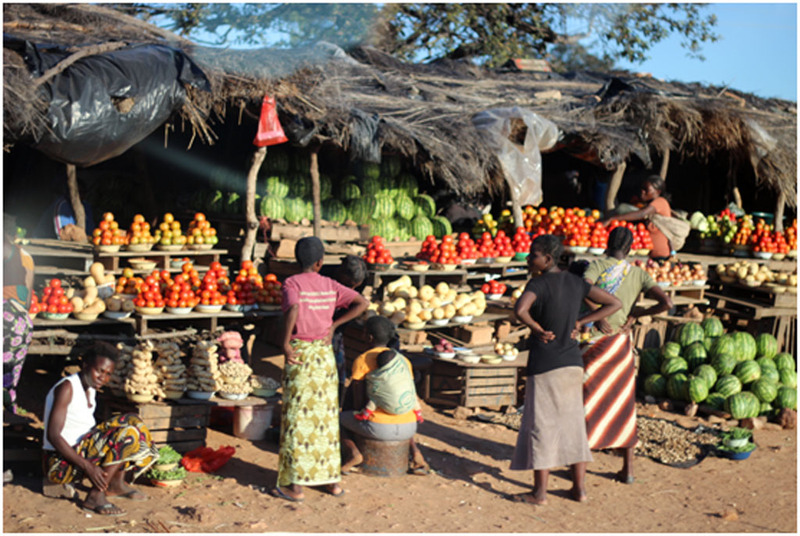 As we travelled around to each project in two pick-up trucks, we got the opportunity to explore the beautiful country of Zambia, full of smiling children, sunshine and towns and villages lined with stalls of fresh tomatoes and melons. 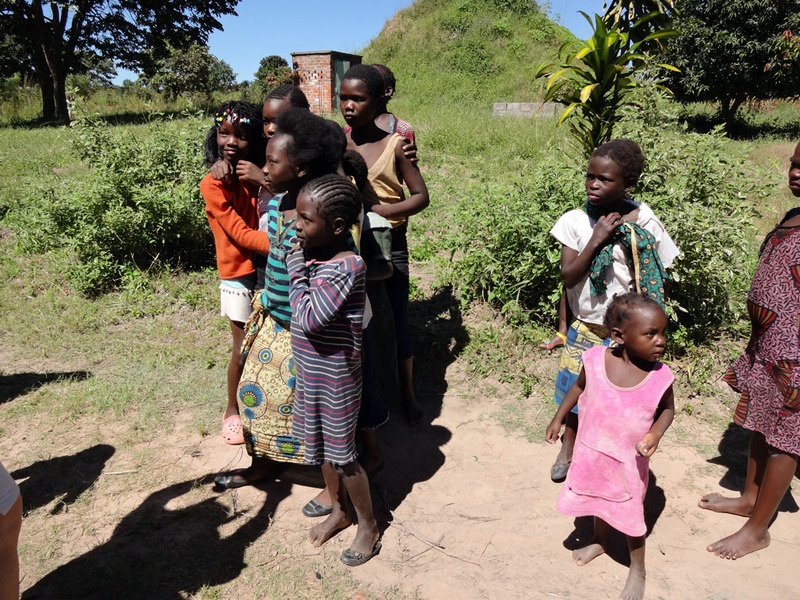 Unfortunately there were also lessons to be learned about the reality of the Zambian people and their struggle with AIDs and the lack of education. Without a doubt, the highlight of the trip for me was meeting the children. 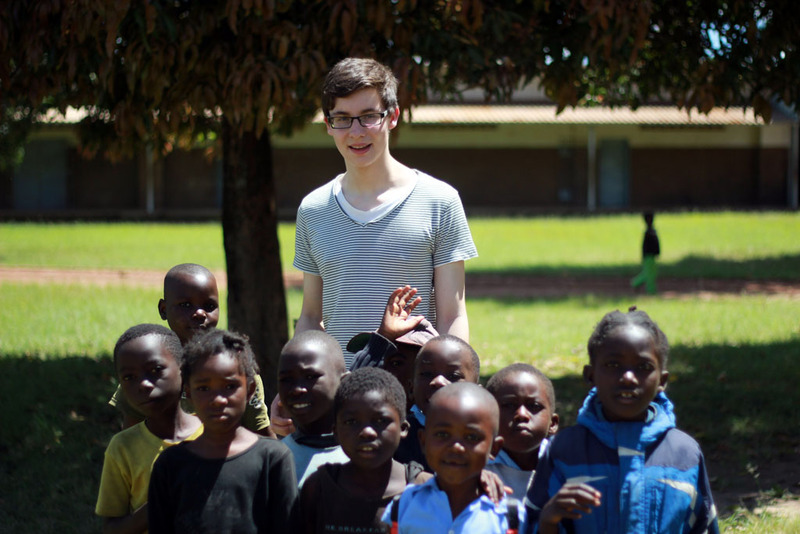 Anywhere we went, we were surrounded by children who seemed so happy despite having almost nothing with many of them suffering from AIDs. Overall, I found this trip to be a wonderful and eye opening opportunity to explore and experience a new and completely different culture. I enjoyed every single moment of it. Touching down in Lusaka as we walked out off the runway I was immediately hit by the heat and humidity in the air filled with the smell of jet fuel. This was one of the first things to strike me and continued during our stay that there is not a huge respect for the environment. Coming from such a well developed country we take for granted things like drainage and footpaths. 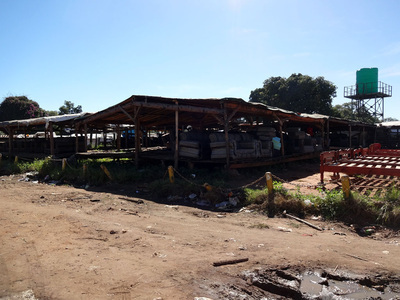 During our long drive up to Mulifria I was a bit shocked to see the people walking in rivers of green stenching water, not giving the slightest care, all waving at us as we flew on by, never to see us ever again. This was one of the most striking things for me. 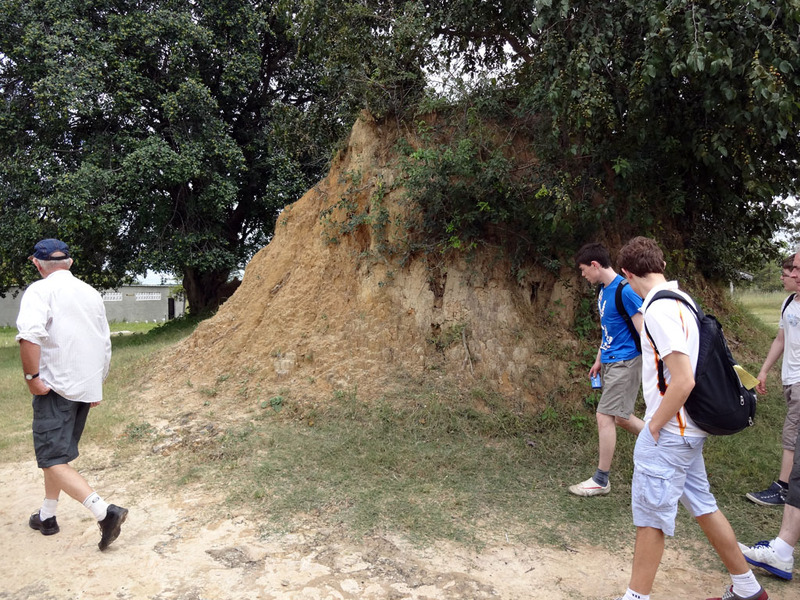 To see the houses that they were living in was very surprising to me, as even though they were made out of mud they were very well kept and seemed to be very much in a habitable state. 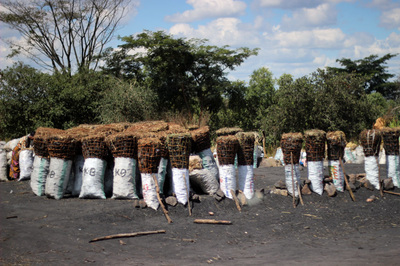 I think when they put some structure to the way they run the land and properly manage it, Zambia will be one of the biggest food producers in the world as the land is ideal for growing and they have a decent supply of water and the weather is just perfect. Me and my little friend Cham. Oh my God...where do I start? 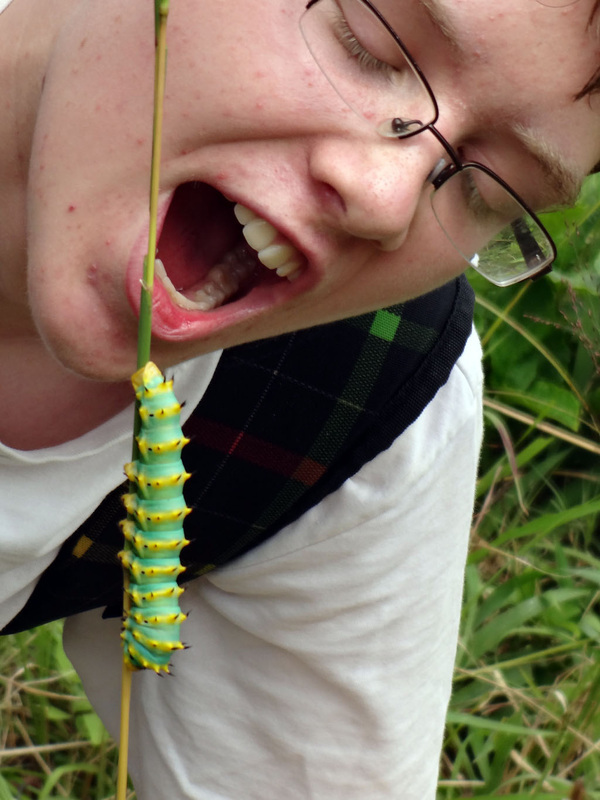 This trip has probably been the highlight of my life so far! I never thought that by washing a few cars over one weekend with my friends Eddie and Jack that I would get the chance to experience what I experienced in Zambia. 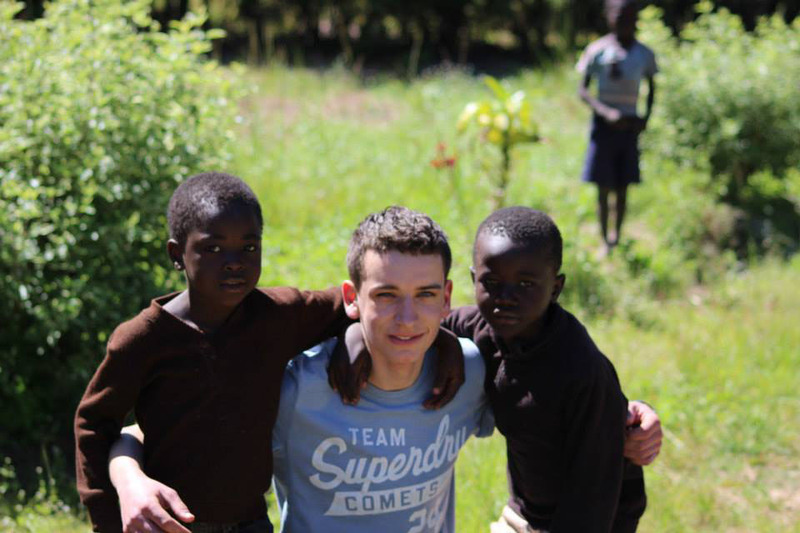 This trip has taught me lots and it has made me appreciate everything I have a lot more. 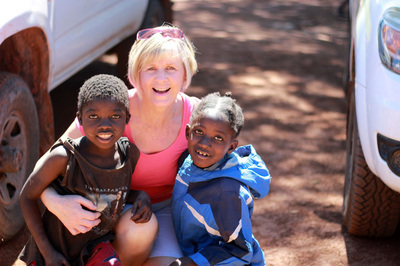 While in Zambia, I got to see villages, clinics, schools and witnessed for myself the dreadful poverty which really shocked me. 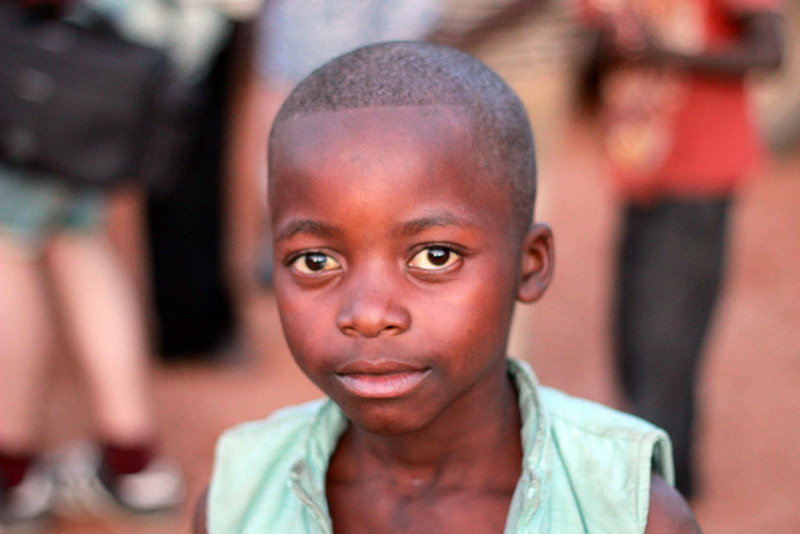 I also met an 8 year old kid called Cham on the trip who taught me so much about the little village, Mufulira, that he lived in. 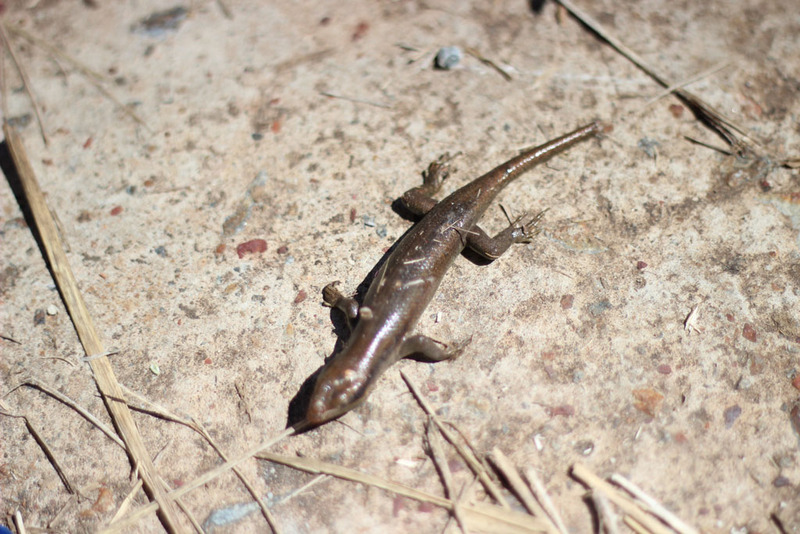 I made a connection with this little guy when I found out that he liked race cars too. Cham taught me a few words of the Zambian language and he told me how he lives his life. I was really touched when I found out that Cham could die at a young age with all the diseases going around. I would have no hesitation in encouraging others to go back out to Zambia to witness the poverty and help these people in any way they could. Words can’t explain how I feel about the trip and what I experienced, so here are some pictures. A big thank you to Mr. Downey, Mrs. Maguire, Mrs. King and Claire Mahony for the amazing trip! 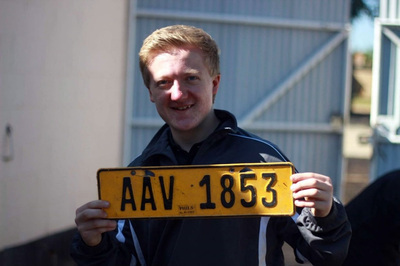 Got a Zambian number plate! When we embarked from Mary’s car park in the early hours of a chilly Thursday morning, I was clueless on what to expect from this journey. The next ten days proved an incredible experience, mixing challenging situations with immense craic. The first time the poverty and scale of challenges evident in the country hit me was when we were travelling through Murundu. 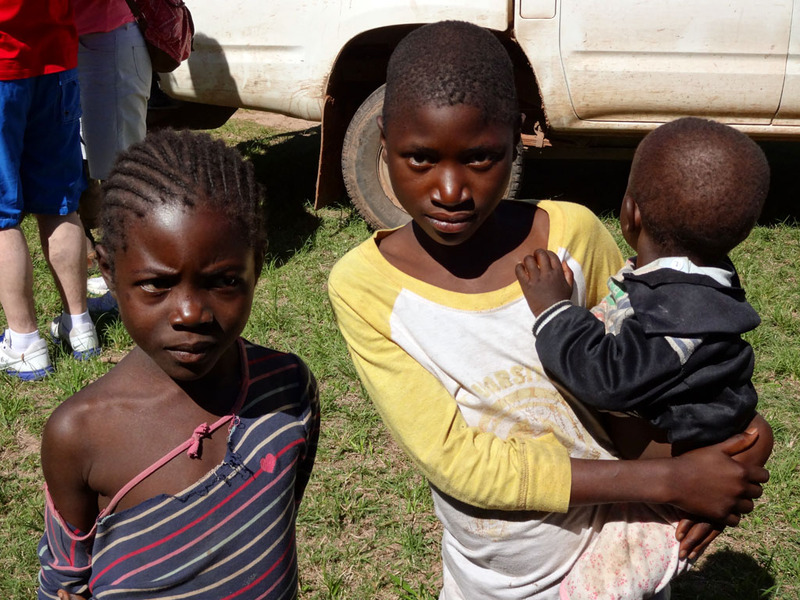 The children loved us and the atmosphere seemed light. My viewpoint changed after a talk from a local man named George who was showing us the village. 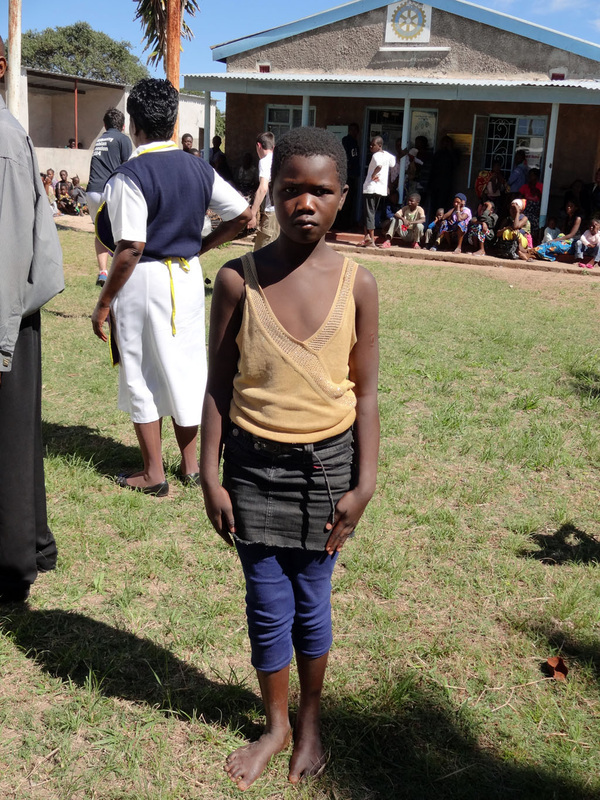 He was a open character and told me about the disease and lack of hope in the area. 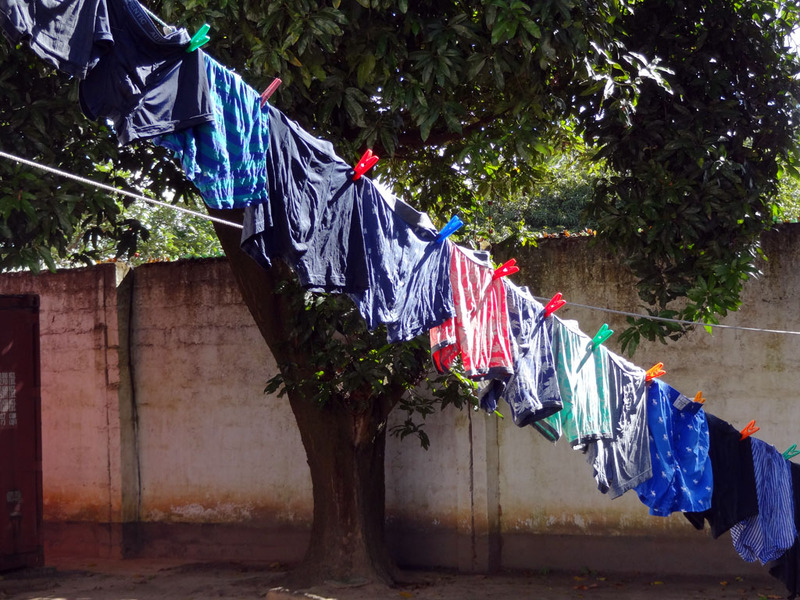 This dampened my spirits until I realised the impact our WaSH project has had on so many lives. 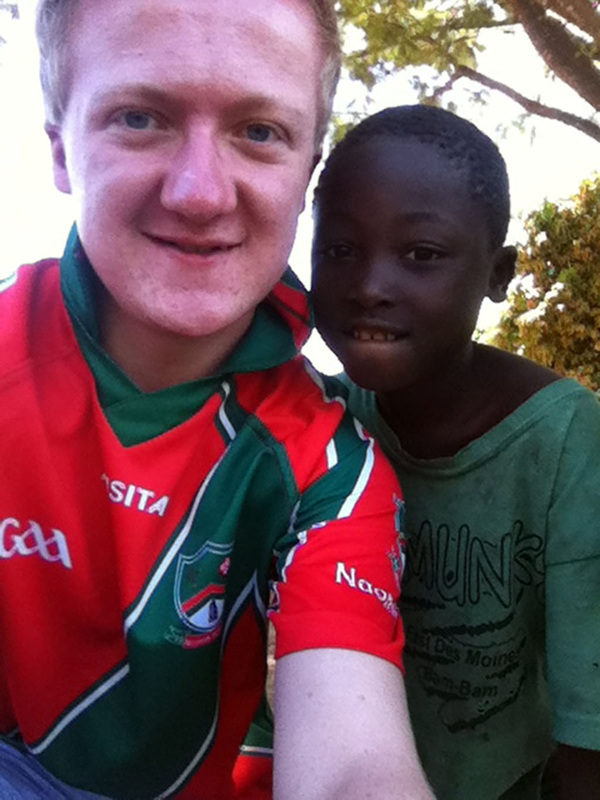 I also loved seeing the locals in old GAA jerseys as it was directly linked with Irish help to the area. 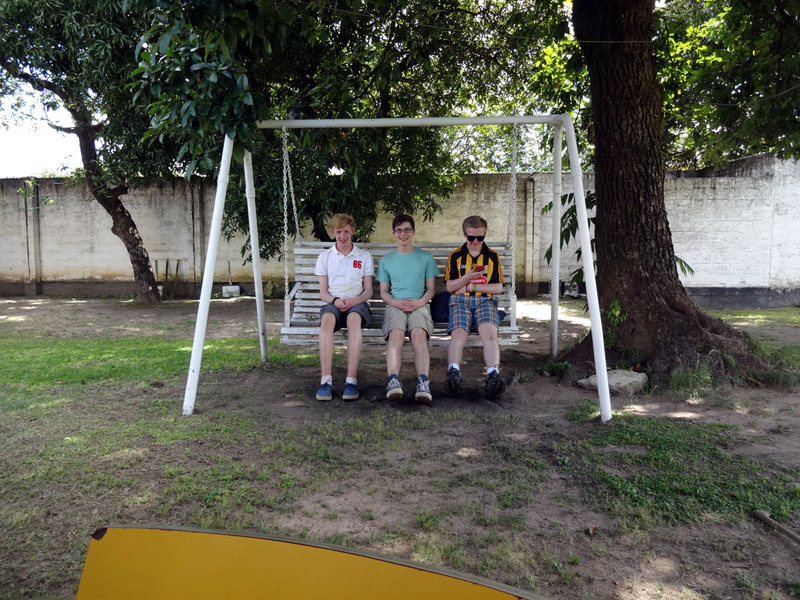 We all sat down with Brother O'Donoghue, Brother Lubasi and Brother Egidius to find out more about their personal paths to the Christian Brothers and why we were in Zambia. 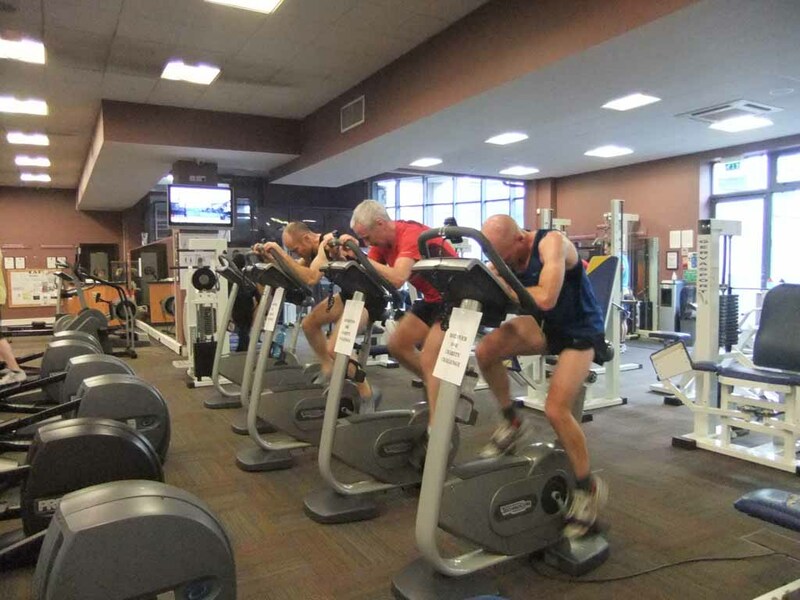 I gained huge respect for the Brothers who show great commitment to their work. Personal highlights of the project include playing soccer with the children, riding in the back of a cramped pickup and the natural beauty of the country itself. 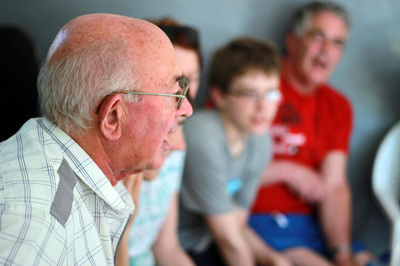 I would not hesitate in encouraging younger students to involve themselves in future projects. A grand line of washing! Zoom into Barry and Andrew! Student Tidy Roster going well then? On the 10th April 2014 I had the privilege of joining a group of students and teachers from the CBS on a ten day trip to Zambia to experience a little of what life is like for those far less fortunate than ourselves and to see what progress had been made in relation to the WaSH Programme 2012. 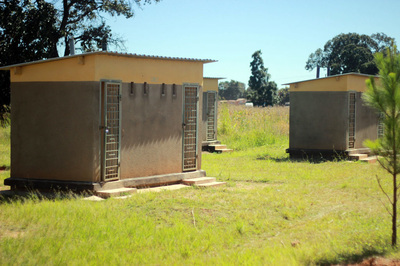 The objective of the WaSH Programme (an acronym for Water, Sanitation and Hygiene) was to improve/provide these basic facilities in a number of schools. 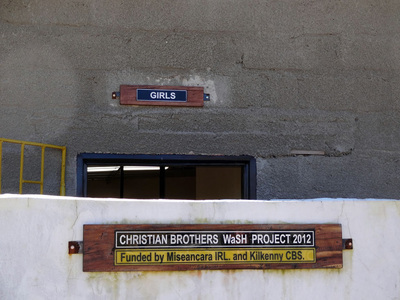 It was funded by a Government Agency called Misean Cara and also by the significant fundraising efforts of all involved in CBS Kilkenny. We stayed with Bro. 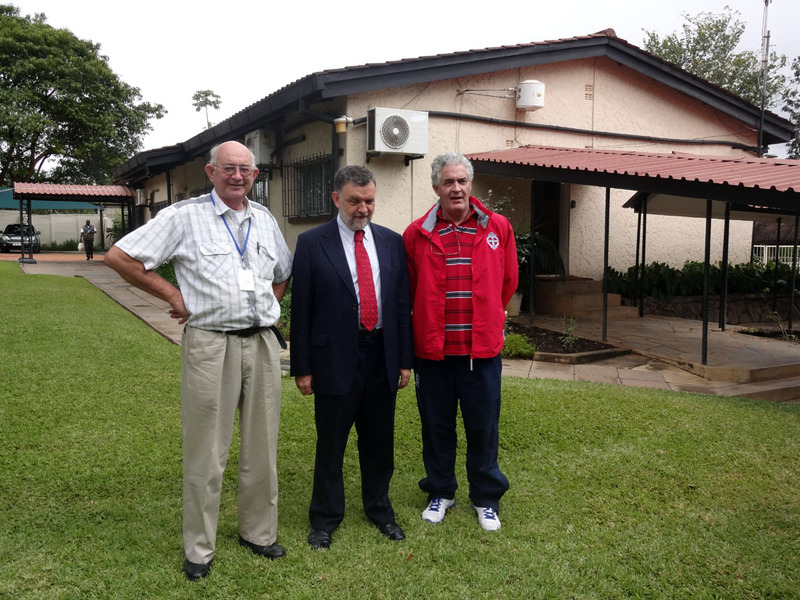 Mick O’Donoghue and two other Christian Brothers in Mufulira, Northern Zambia. Bro. Mick was a former Principal of the CBS Kilkenny and devotes his time now to helping the poor in Zambia. We spent many days travelling to remote - sometimes very remote - regions in Mufulira and surrounding areas, visiting the schools under the WaSH Programme to see the new facilities, new toilets, pumps, water tanks, etc. These schools are literally in the middle of nowhere. 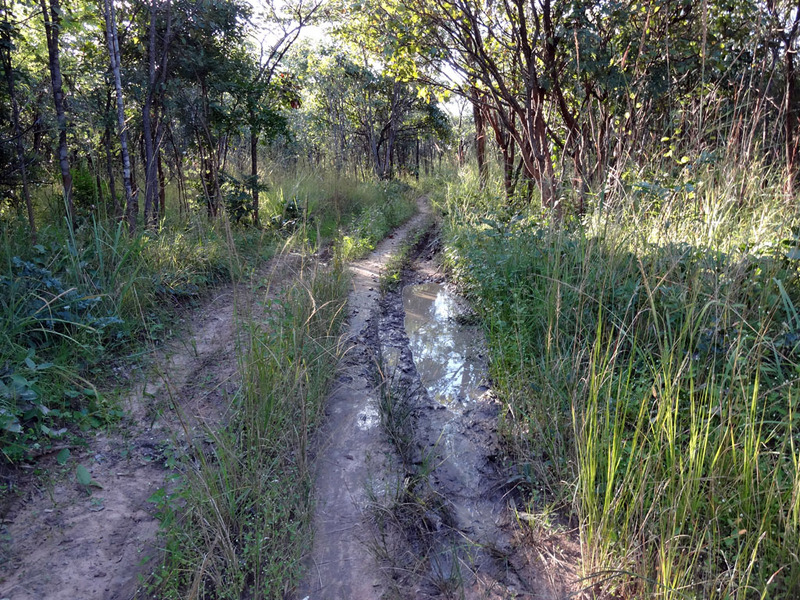 The terrain is absolutely horrendous - narrow dirt tracks full of pot holes, orange dust rising as we bump along under the midday sun. 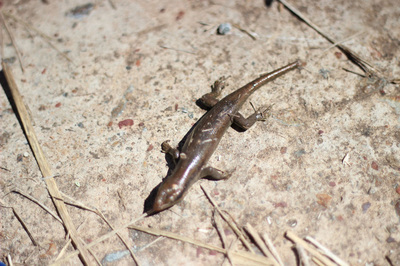 What it must be like in the rainy season, I cannot imagine. 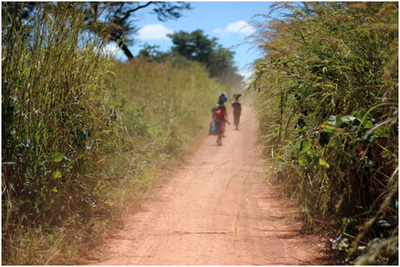 There is no public transport service, so children and teachers have to walk for miles each day to get to school. Vast unused areas of land lay out before us and every now and again, we could see a cluster of huts, some with torn canvas roofs and some with thatched roofs, scattered throughout the landscape. 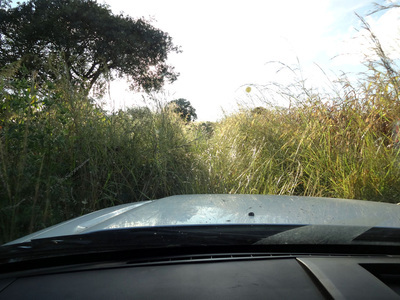 Then, as we drive on, little children appear through the tall dry grass which fringes the dirt-track, beaming with smiles that would melt your heart. As it is Easter time they have no school. 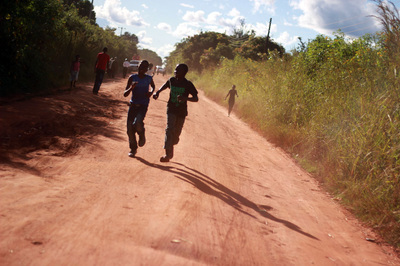 They run alongside us – we are terrified they will get hurt – smiling, happy and laughing all the way. 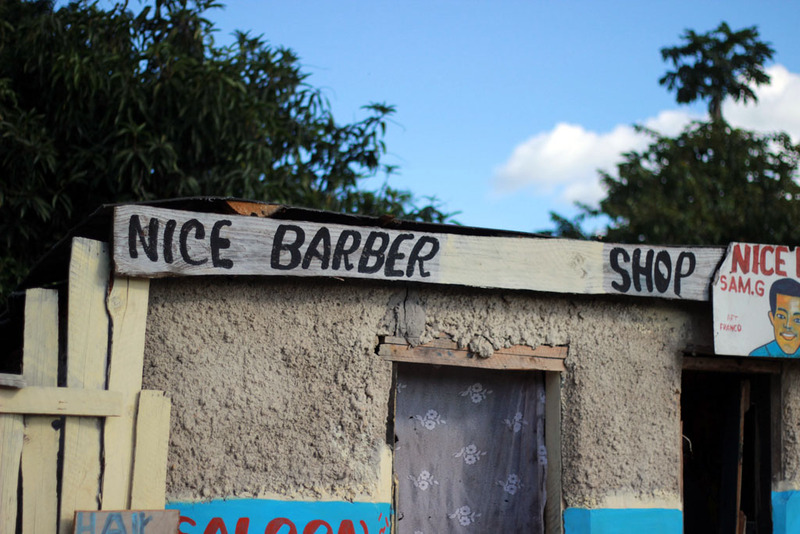 They have absolutely nothing – but somehow they are always happy. As we walk through the schools and villages, little hands slip through our hands, and we quietly walk on, looking down every so often to see little people, laughing, happy and content to walk with us, hand in hand, feeling important and wanted. Many of these children are barefoot but it is no bother to them to walk along the gravel, pebble-strewn paths. This scene is replicated in each village and school we visit. 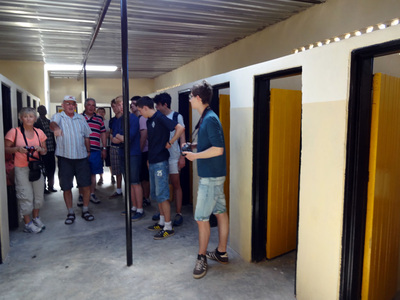 We are pleased to see the new toilets for pupils and staff are up and running. 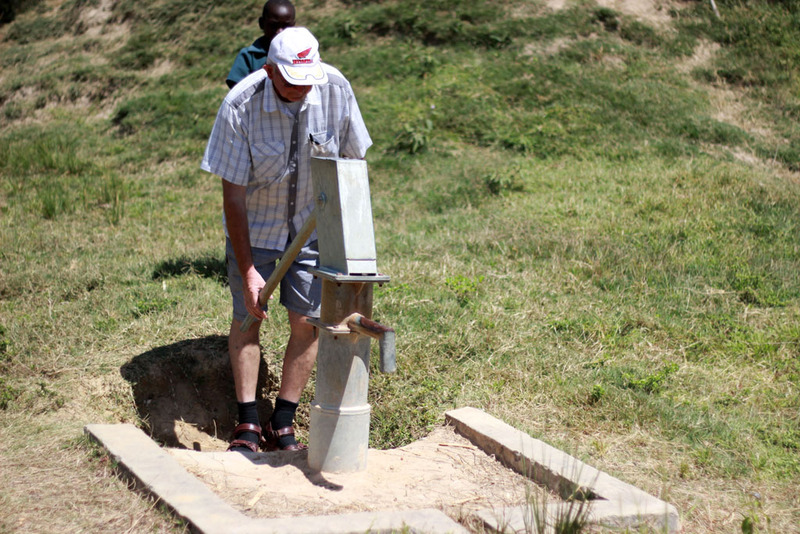 We also see pumps offering clean drinking water to thirsty children. 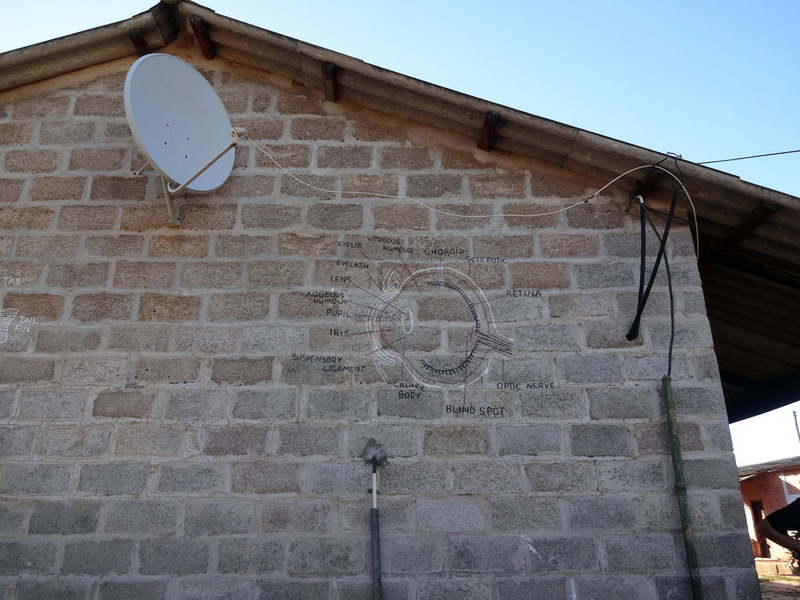 New water tanks are also evident. We are happy that, because of these improvements, life would be that bit easier for the children and staff in the schools. When we leave, the children run alongside us again as we drive off ……smiling and laughing as ever. 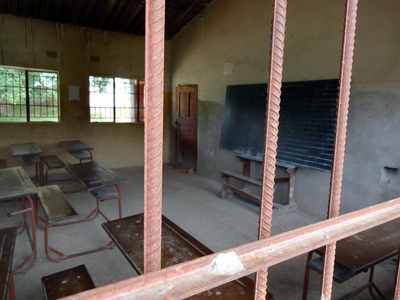 While it was great to see progress in these schools, Bro. Mick told us that vandalism was an issue in some of the schools due to lack of maintenance and security. 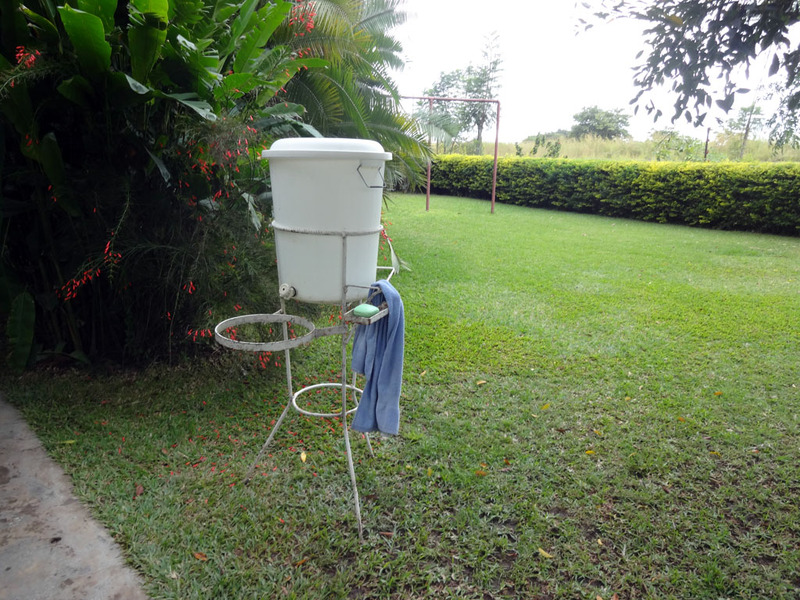 The locals take the water from the tanks and use the toilet and shower facilities. I suppose given that these people have absolutely nothing, it is hard to blame them for taking and using the bare essentials that we take so much for granted on our side of the world. 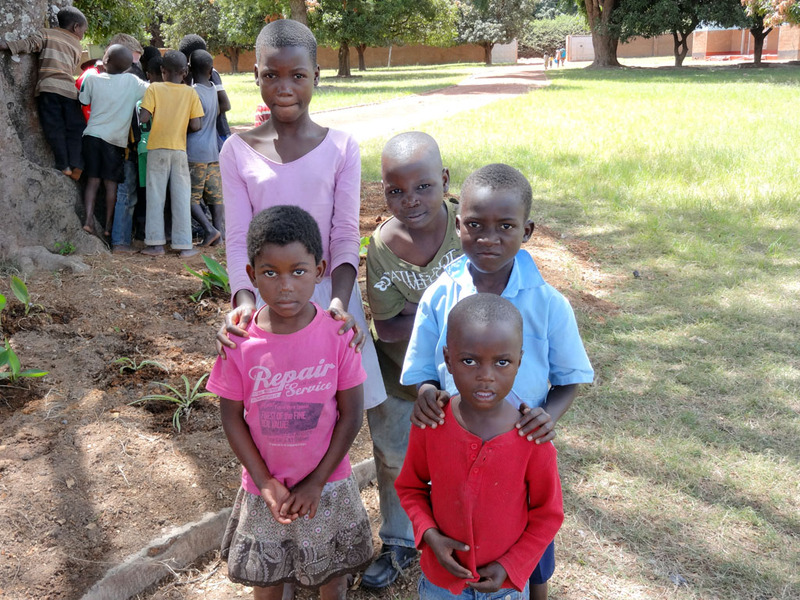 What I was really impressed with while in Zambia was the Mother and Child Clinic in Murundu. While there, we had the opportunity to talk to the midwife who runs a very efficient, safe, clean maternity clinic for the mothers and babies. Many of these mothers are young teenage girls. 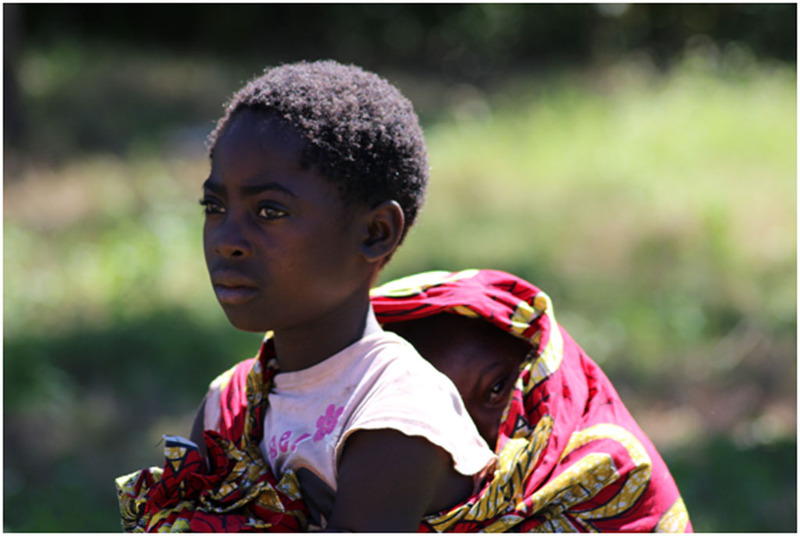 She told us, after giving birth, the mother stays in the clinic with her baby and returns home after about 4 hours. 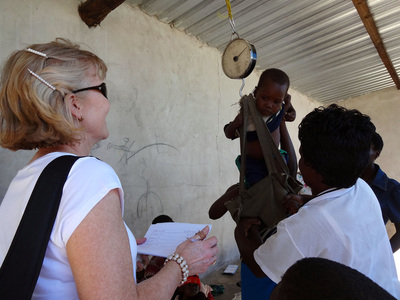 The baby is assessed the following week, then at 6 weeks old and then at 6 months old. We had the opportunity to help weigh the babies and record their names and weight. There is a feeding programme for babies in this clinic also. Food is prepared on site on Mondays, Wednesdays and Fridays so it is great to see that the babies are well fed and looked after. We also went to see the Orphanage and gave the Sisters some little gifts for the boys and girls. 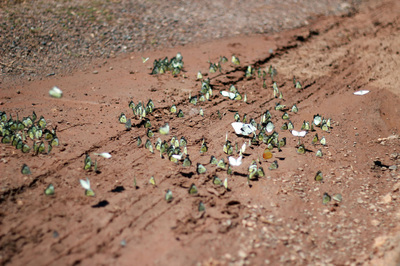 Many of them had gone to relatives for a few days so there were only a few children there when we called. They looked very well cared for, happy and content. 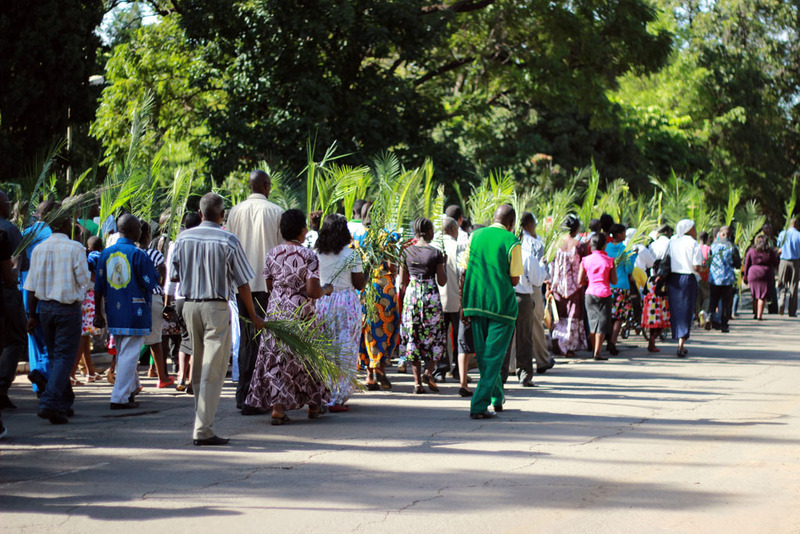 The Christian Brothers are involved in many other different projects in Zambia. 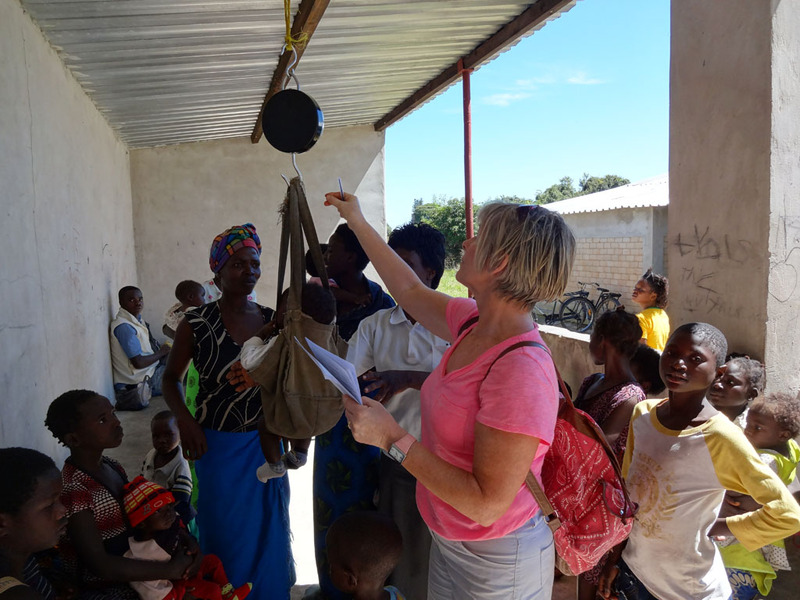 Some of these projects include paying teachers, supplying books and improving toilet facilities in the Chibolya Community School. They also run a training centre in Murundu which we visited, and this Centre caters for those who have left school early. Training in metalwork, carpentry, building and motor mechanics is provided here for about 110 students. 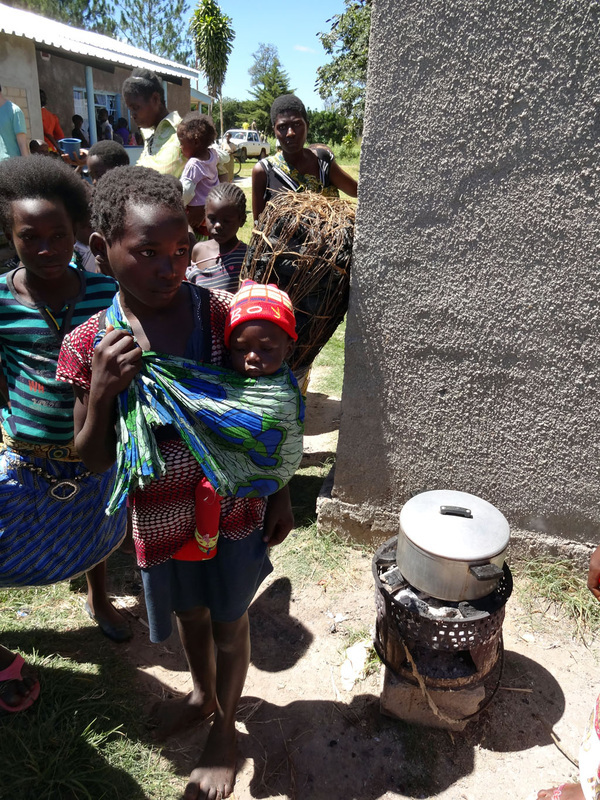 They are also involved in a feeding programme and help feed 130 poor families in Murundu and about 70 families in Mufulira. The Brothers are also involved in housing the elderly and we had occasion to visit such a Unit. They have taken them from extremely poor circumstances to a place where they have a roof over their heads, water, toilets and electricity. 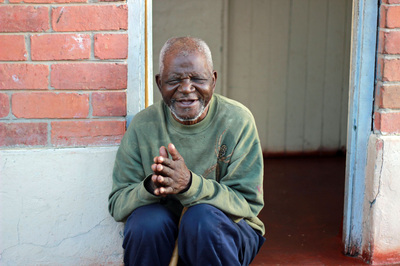 However, these people are far from family and friends and they spend their days sitting outside their rooms on the steps, watching, staring, with the evidence of a life of hardship and poverty etched so clearly on their withered faces. 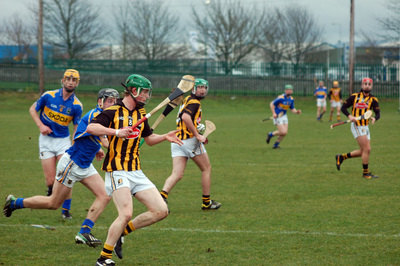 These images will remain with me and the saying “a picture paints a thousand words” comes to mind. 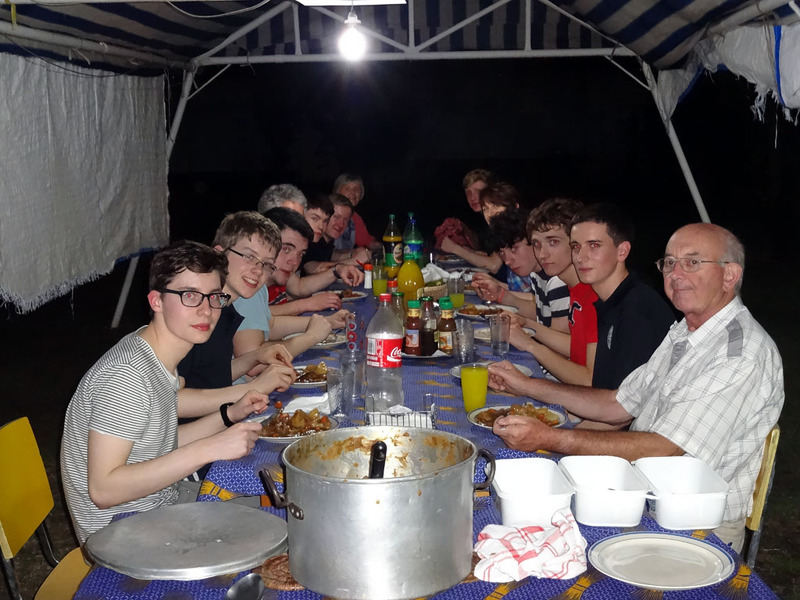 There is no doubt that the Christian Brothers continue to need our help with raising funds for the many projects they are involved with currently and for new projects going forward , and I know the Parents’ Council will continue to help in this regard. 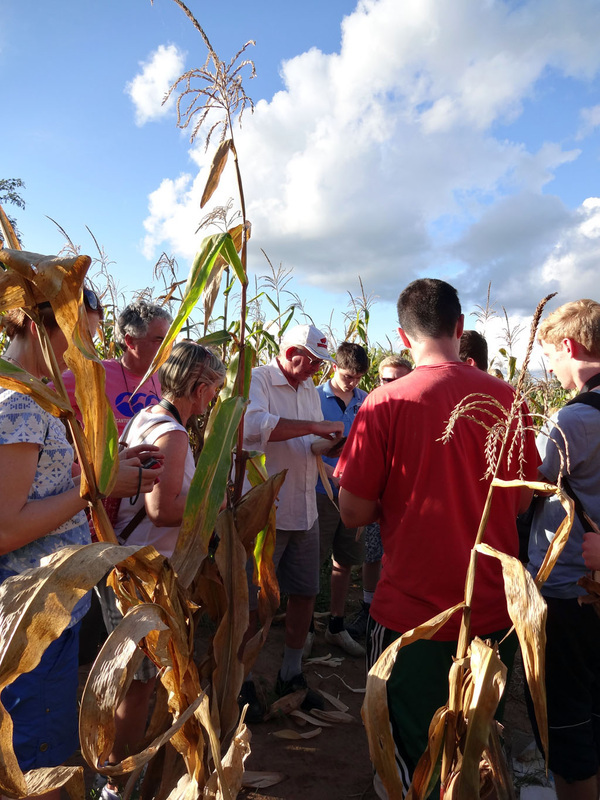 This has been an experience of a lifetime for me and I imagine for all those in the group. 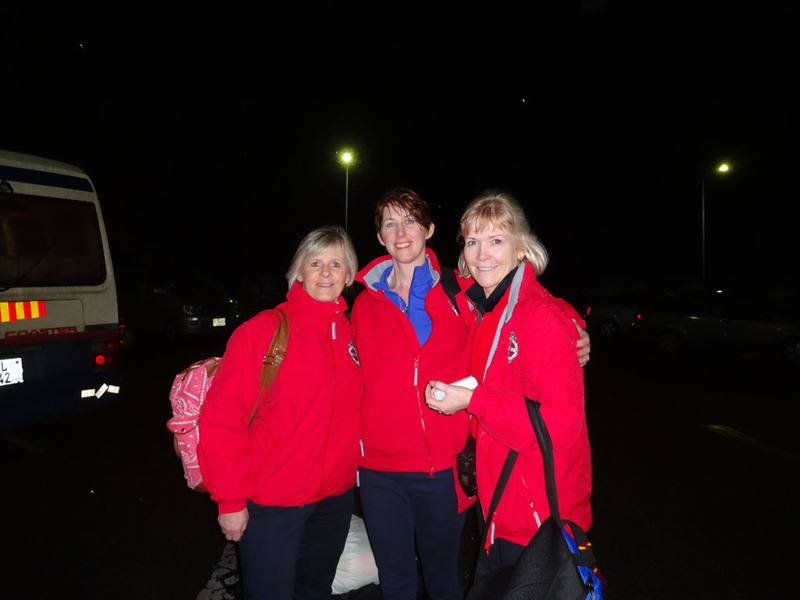 We travelled together, walked together, ate together, chatted together and laughed together. What a bunch of amazing people I had the fortune to be a part of and what shared memories we have to hold on to and cherish for always. I can only say a big thank you to Principal, Tom Clarke, Pat Downey and the Zambian Immersion Project Committee for giving me this opportunity. On April 10th 2014, nine students, three teachers and a member of CBS Kilkenny Parents Council will head to Mufulira, Zambia to see the work of the Christian Brothers out there. 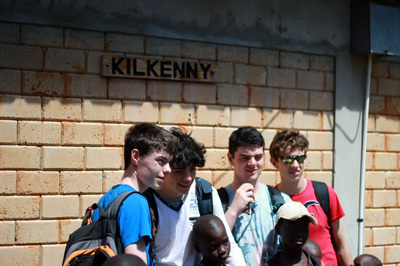 The group will stay there until April 20th, as part of the CBS Kilkenny Immersion Project. 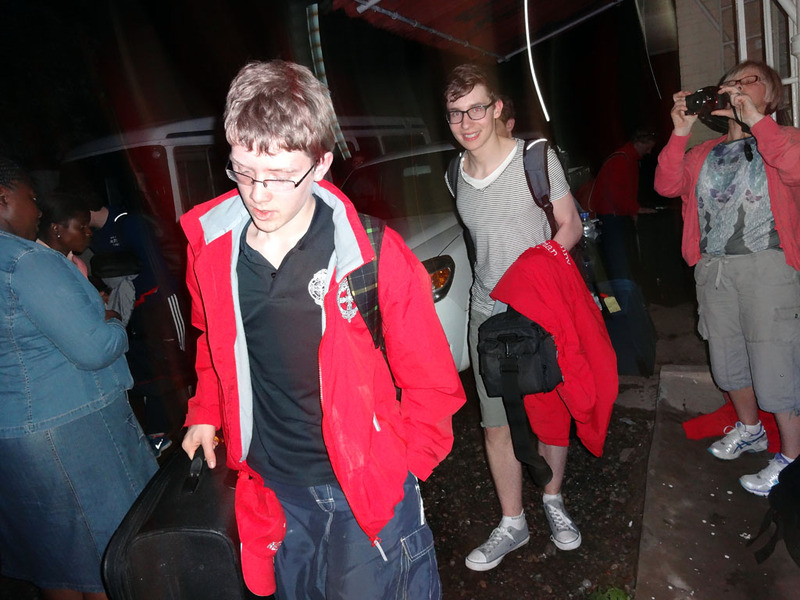 We wish them well and trust they will find the experience challenging and rewarding in equal measure. Tipp finish strongly to win 3rd Zambia Hurling Challenge. On Sunday morning, February 23rd, the Under 21 Development Squads of Tipperary and Kilkenny served up an entertaining and competitive contest in the O’Loughlin Gaels grounds at John’s Park. 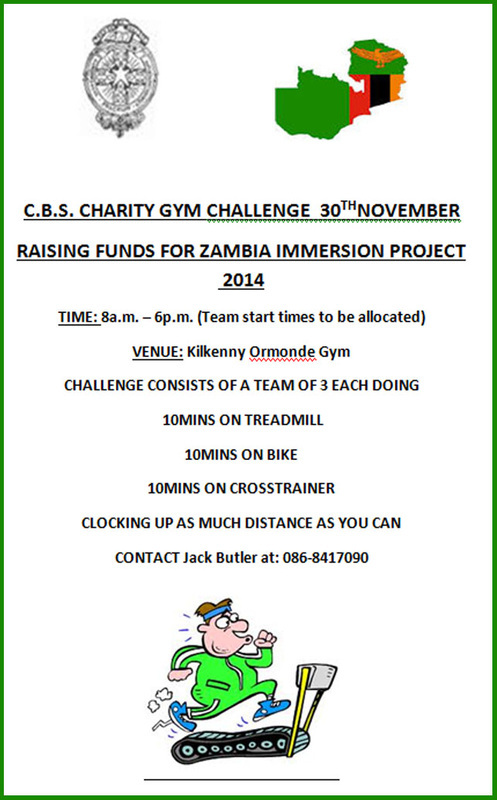 For the third year in a row this fixture has been arranged to raise funds for the Kilkenny CBS Zambia Immersion Project. 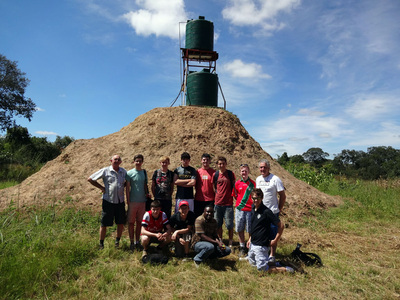 The second visit to Zambia takes place in the coming weeks when 9 students, 3 teachers and 1 member of the Parents’ Council travel to Africa for the second Immersion experience following the inaugural visit in 2012. 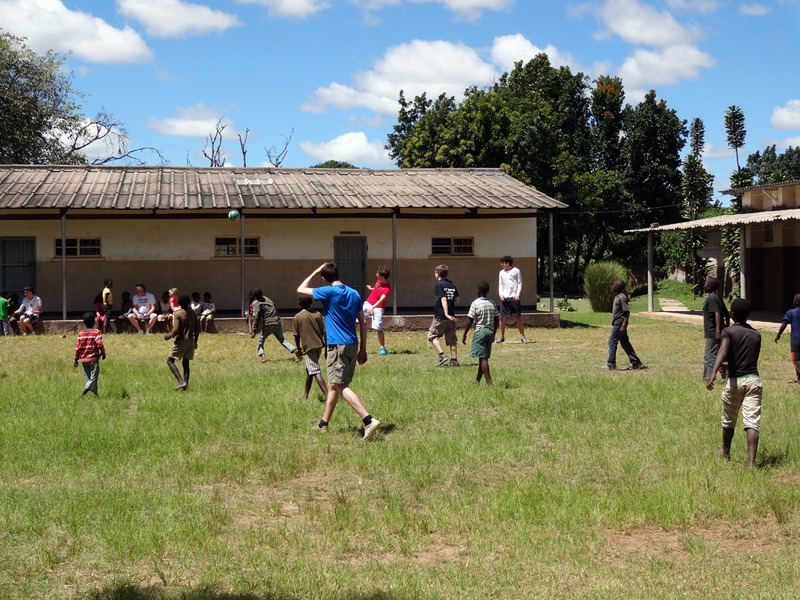 This hurling challenge has helped to raise funds for works carried out in various Zambian schools under the supervision of Bro. 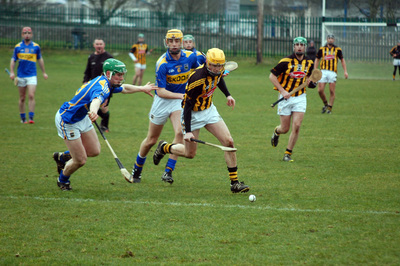 Mick O’Donoghue, a former Principal of Kilkenny CBS. Despite the cold conditions on Sunday morning both teams provided a full-blooded game of hurling that was highly competitive until Tipperary gained the upper hand in the final quarter. 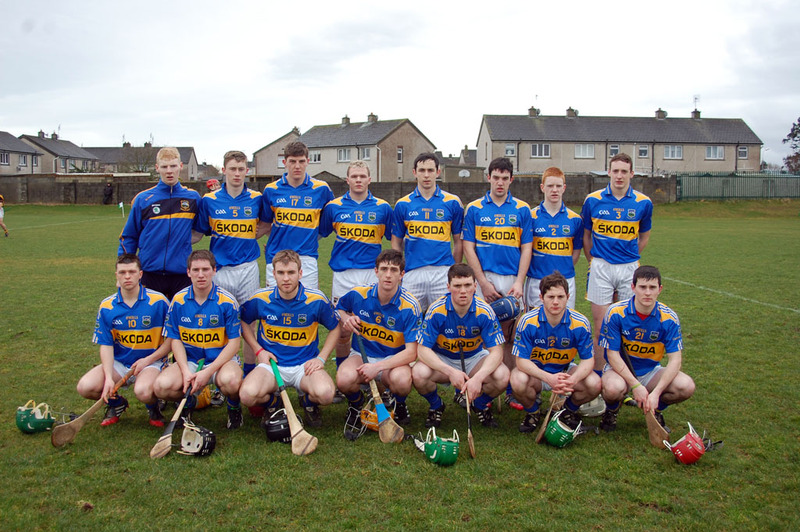 The final score was 3-16 to 1-14 in Tipp’s favour but for long spells there was nothing between the 2 teams. 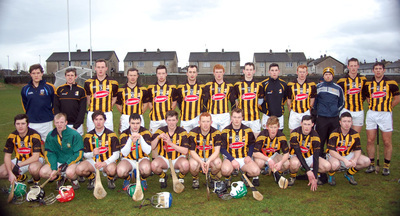 We would like to thank both sets of players (particularly former CBS stars Jack Langton and Owen McGrath), Tipp Manager TJ Connolly and Kilkenny Manager Brian Ryan, O’Loughlin Gaels and referee Eamon Mansfield and his umpires for making this fixture possible. 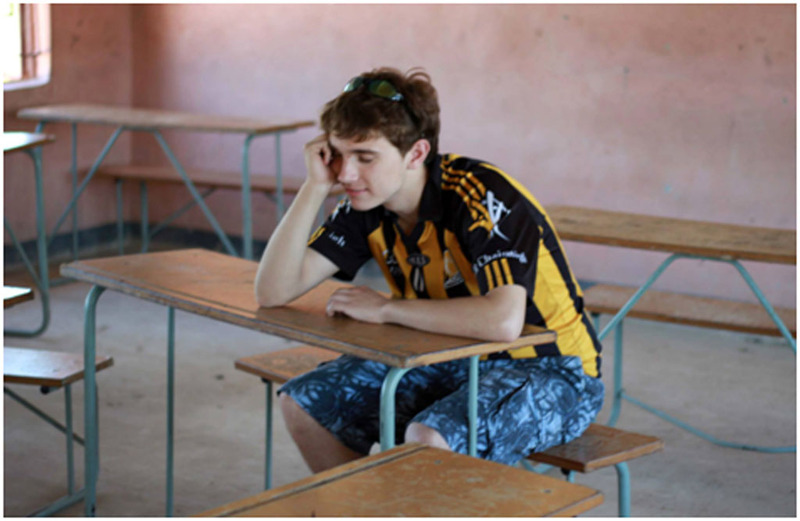 The Zambia Immersion Project Committee would also like to thank the match sponsors Newstalk, Cornmarket, DEB and Examcraft for their support. 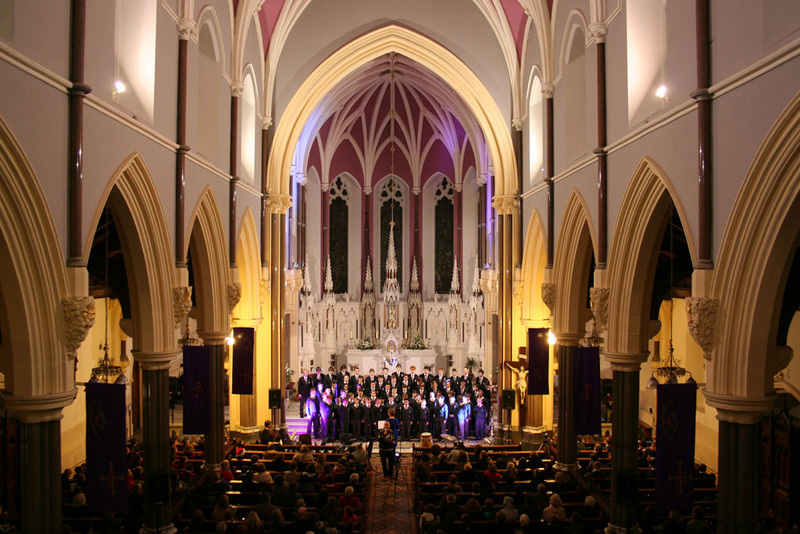 The CBS Kilkenny Christmas concert in St. John's church was an outstanding success for the school and for the Zambia Immersion Project. Choirs from CBS Secondary and Primary school, together with the CBS Jazz Band and past-pupil Conor Brassil, gave an incredible performance of popular Christmas carols, jazz pieces and festive songs from years gone by. Earlier in the day, the students gave a performance in Black Abbey and the whole school community was in attendance. As always, it provided us all with a rousign and emotive start to the Christmas season. Many, many thanks to Ms. Dowling and Ms. Evison for all of their work in the last two months, and to Ms. Meaney and Ms. Dooley who expertly directed affairs on the night. The audience was most appreciative and left St. John's filled with festive cheer. Sincere thanks to St. John's and all of the local businesses and friends who supported CBS Kilkenny in so many ways on the night. Many thanks to Jack Ormond and Jack Lawlor for the camera work and editing. 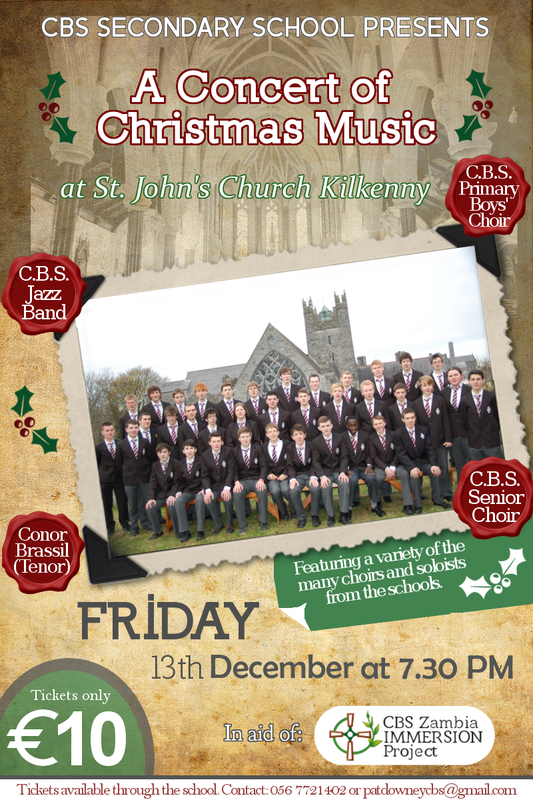 On Friday 13th December, CBS Kilkenny will host a Christmas Musical Evening in St. John's Church from 19:30 until approximately 21:30. 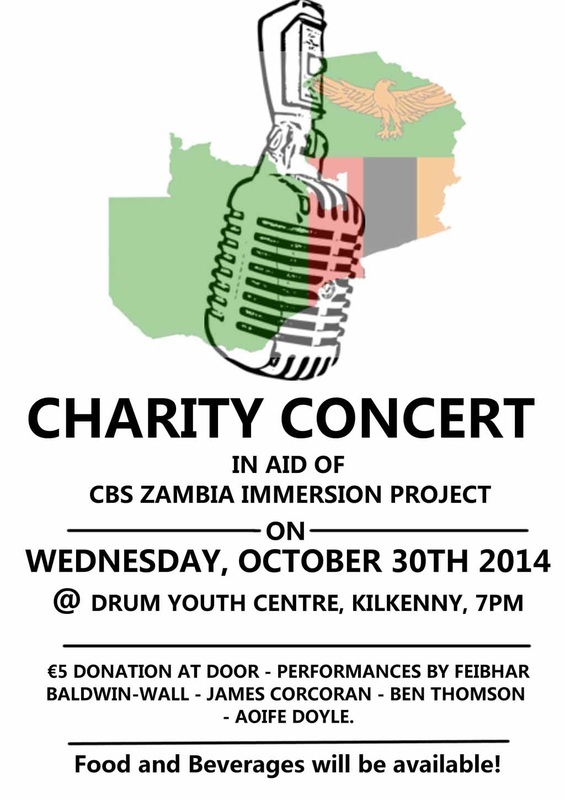 The concert is in aid of the 2014 Zambian Immersion Project and tickets cost €10. 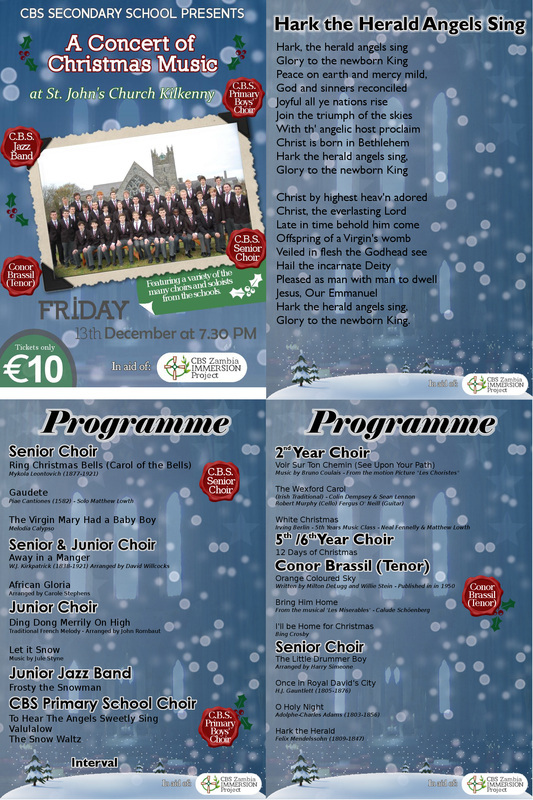 There will be wonderful traditional and modern festive performances from CBS Choir, CBS Primary Choir, CBS Jazz Band and guest tenor, past-pupil Conor Brassil. Popular pieces on the night will include Little Drummer Boy, White Christmas and Holy Night along with many more. Come along to St. John's for a wonderful start to your Christmas season. The Zambia Immersion Project for the current school year is up and running. 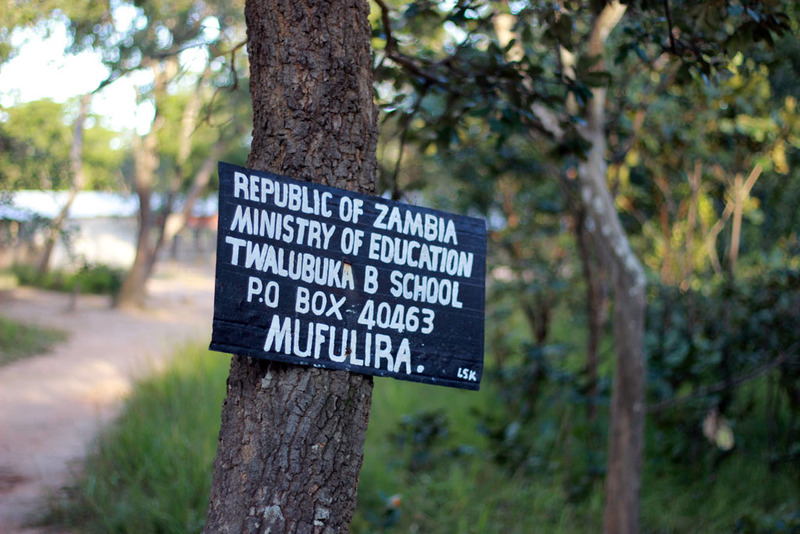 Three teachers, one member of the Parents' Council and nine students will travel to Zambia in April 2014. The focus of this year’s Immersion is the “Twalabuka Project”. 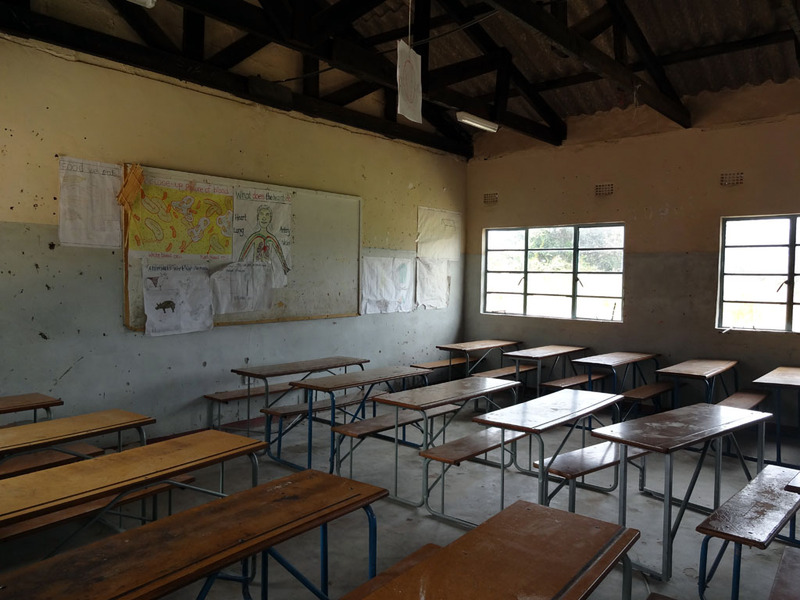 This project involves the building of two three-bedroom houses for married teachers and four “bedsits” for single teachers at Twalabuka Basic School. This will allow teachers to live on site. The development will include solar panels as there is no electricity and a borehole (a well) to cater for the absence of running water. 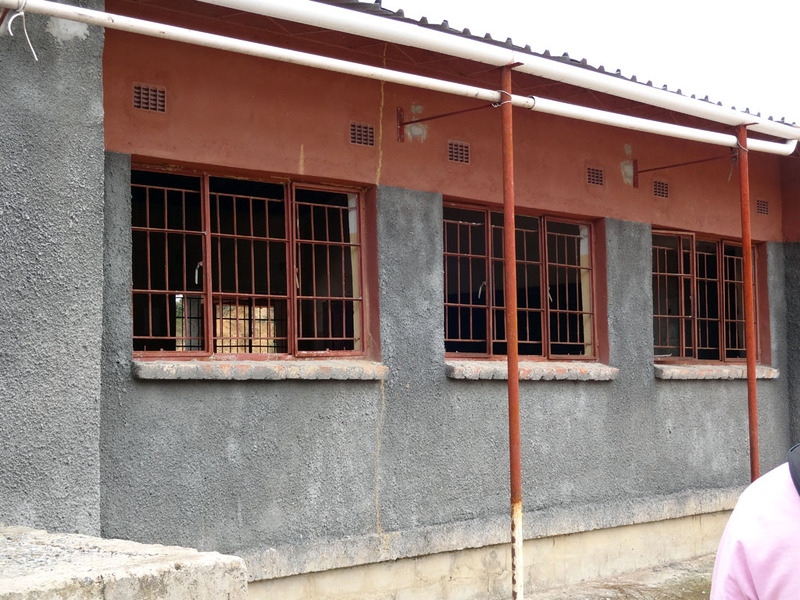 It is envisaged that well and the solar panels will service the needs of both the new teacher accommodation and the school itself. Throughout Zambia the road network leaves a lot to be desired and public transport is almost nonexistent. 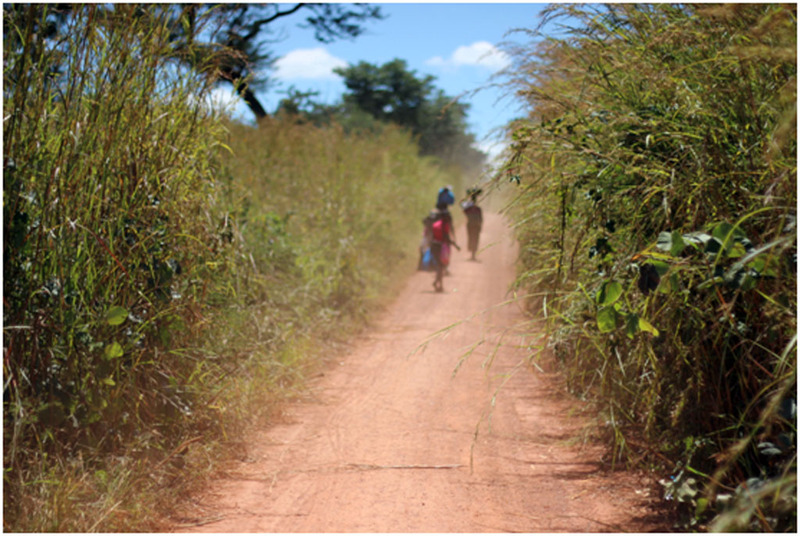 Twalabuka, like many schools in Zambia, is very remote and teachers have to walk for miles to reach the schools. 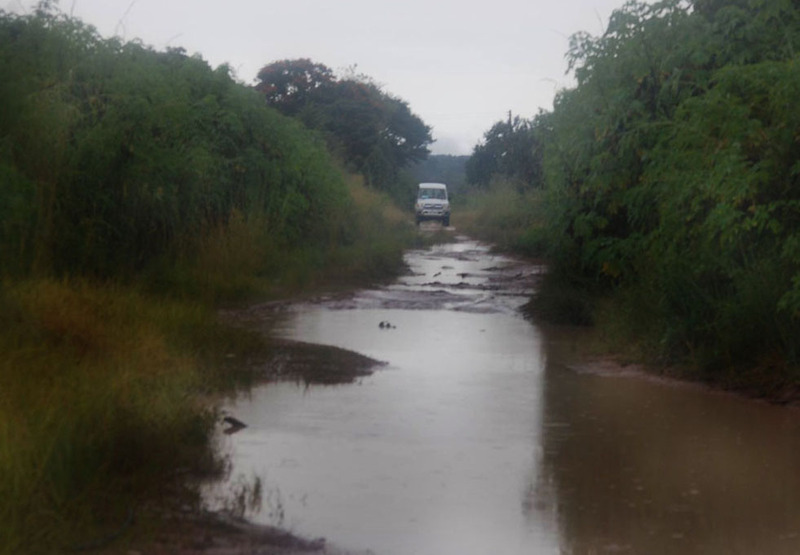 This can be particularly hazardous in the rainy season as the roads become almost impossible to navigate. The end result is that pupils are often at school, teachers are unable to attend through no fault of their own and valuable teaching time is lost. 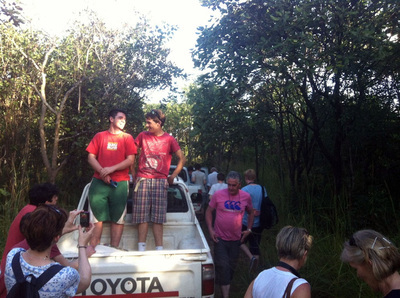 This is a pilot project which we expect will be repeated by many other Immersion groups. 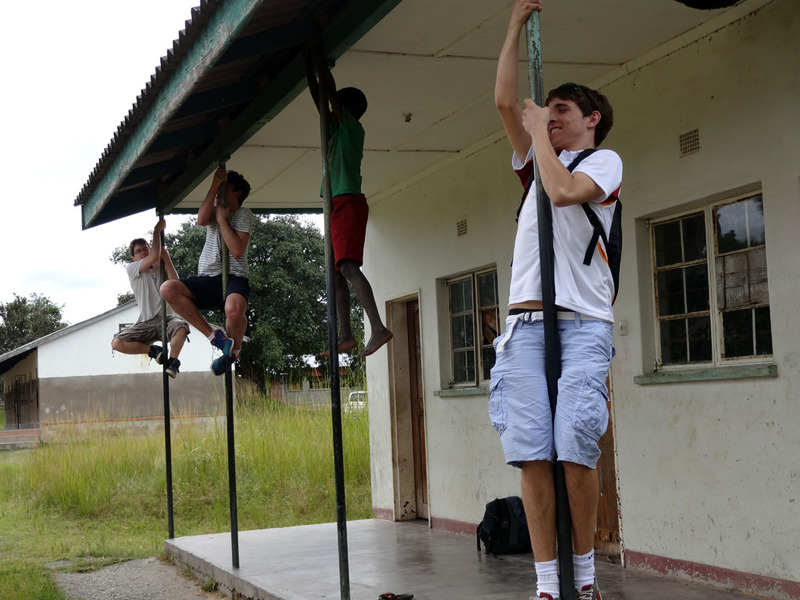 Twenty four exceptional young men will be interviewed for nine places on the 2014 Immersion project to Zambia. 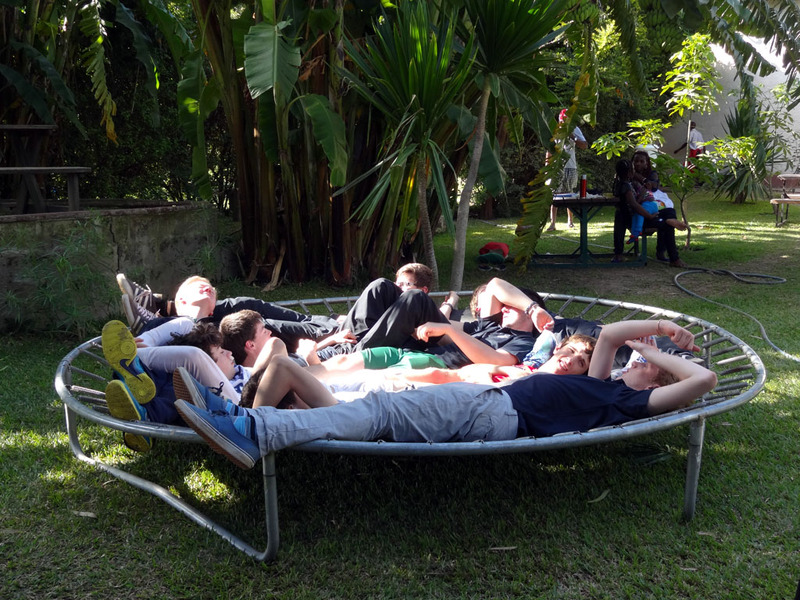 All of these young men have displayed exceptional leadership skills. 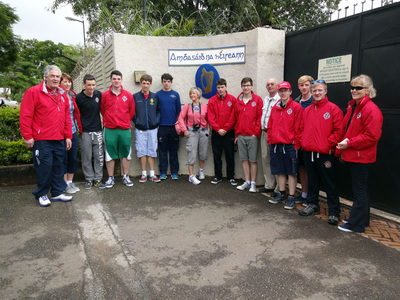 Each not only engaged in their own personal fundraising but they were also central to all school fundraising initiatives towards the Immersion Project in the school 2012-2014. 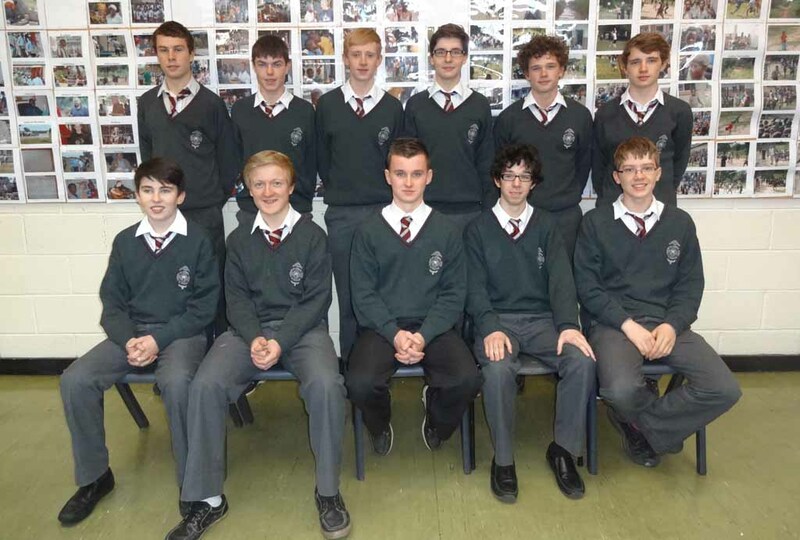 They have been and will continue to be excellent ambassadors for our school. We wish all applicants the very best of luck in the interviews and want to assure the unsuccessful candidates and their parents that it is our inability to bring all applicants to Zambia that is preventing them from going on this occasion. 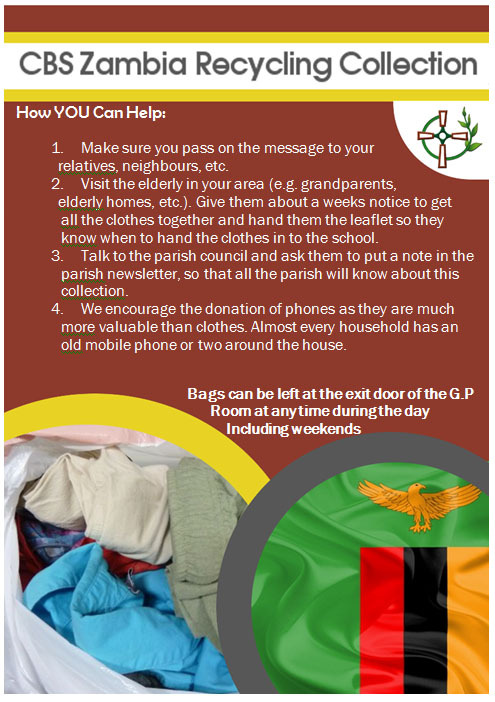 We have chosen to embark upon a whole school initiative in the area of new and used clothes and phone collections/recycling. This project not only reduces the amount of waste deposited in landfills but also highlights to our students our environmental responsibility and endorses a culture of "Reuse and recycle”. The clothes, phones etc will be reused in third world countries again benefiting those most in need. Our current Transition year students have compiled an information leaflet which outlines the types of products we would be very grateful to receive on behalf of this very worthwhile project. Due to a terrific response the final date for collection has been extended to Friday, November 8th, 2013. 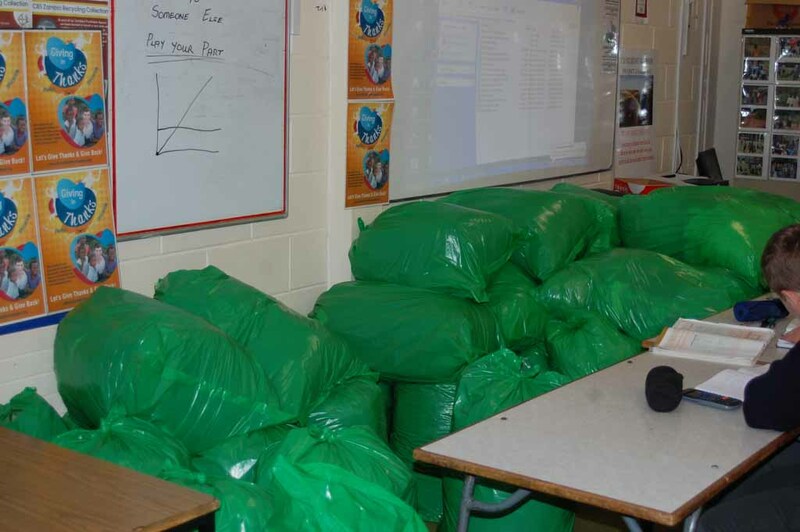 The recent clothes collection managed to raise €1170 many thanks to all the students and more particularly their parents for the contributions made. This is a very significant amount of money not only in an Irish context but even more so when you consider that €10 is equivalent to approx one month’s wages in Zambia. Also in the same collection we managed to bring in 348 phones. These will be processed by the students and teachers who are going to Zambia over a Saturday or Sunday in order to achieve the highest possible return for these towards the “Twalabuku Project”. It is expected that the recycling initiative might bring in as much as €2000 overall. Many thanks again to all who contributed so generously. 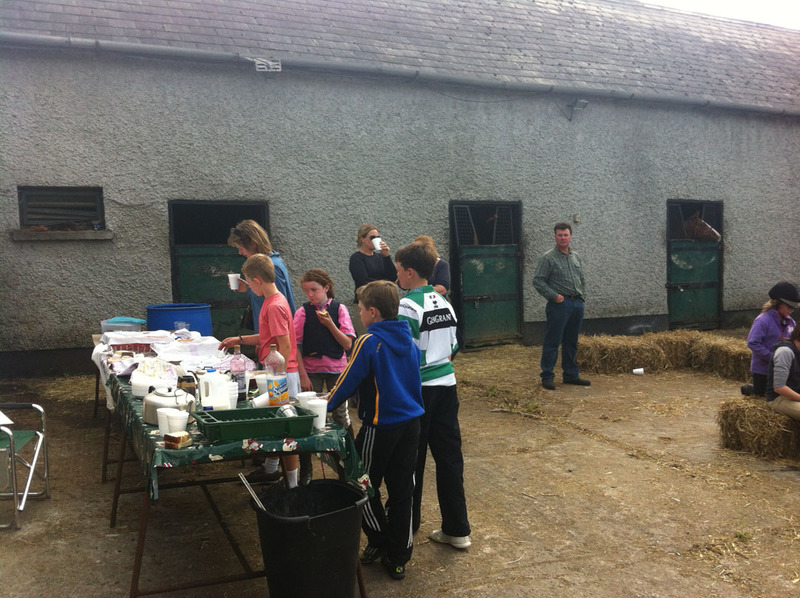 Claire Mahony from the CBS Parents' Council has organised a coffee morning to raise funds for the 2014 Immersion Project. Your support will be very much appreciated and there will be plenty of good coffee, good cake, good company and good chat. 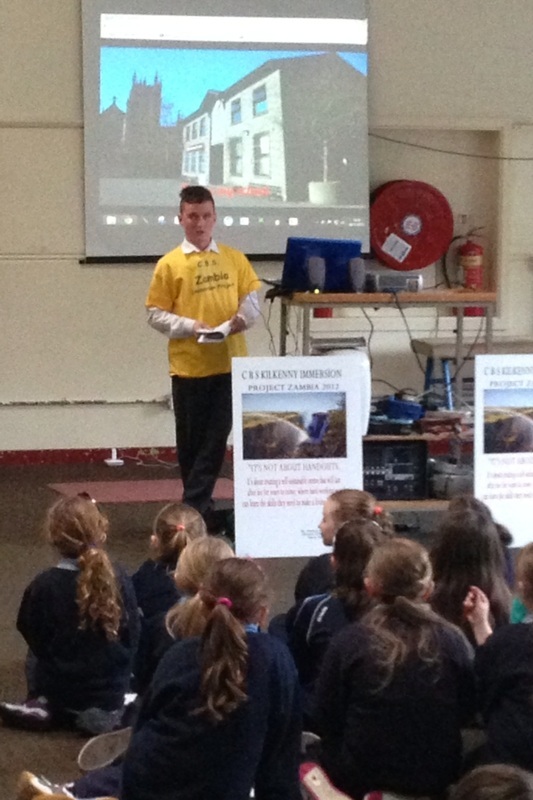 On the 6th of November 2013, I went into my former primary school, Ballymacarbry National School, and gave a PowerPoint presentation to the pupils of 3rd, 4th, 5th and 6th class. The PowerPoint consisted of our work in Zambia, what the Zambian Immersion Project is about and the history of the Christian Brothers. This was following a non-uniform day I had organised within the school which was a huge success raising a total of €154 even though the school is quite small. Many thanks to everyone who supported my initiative. 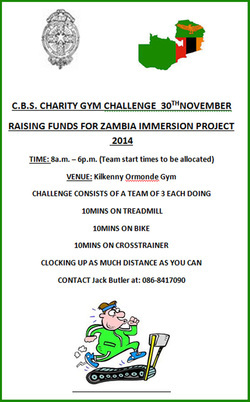 On the 30th November, a Gym Challenge will take place in the Ormonde Hotel Gym, Kilkenny as part of my personal fundraiser. 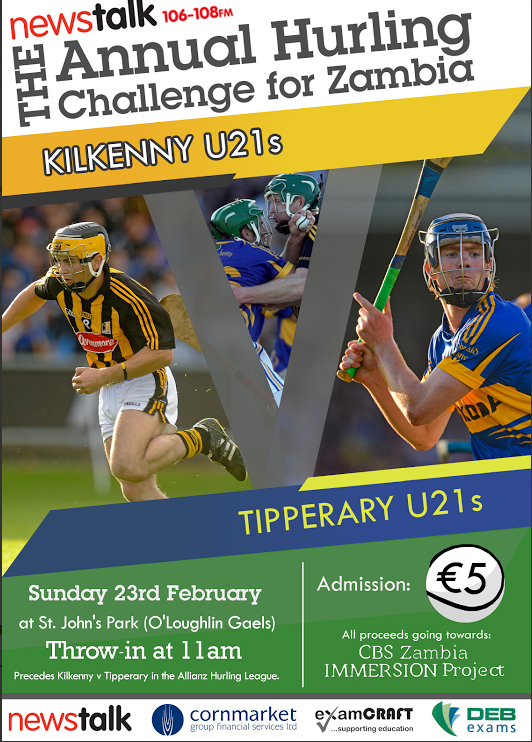 Details of the challenge itself are set out on the poster above and it will run throughout the day. 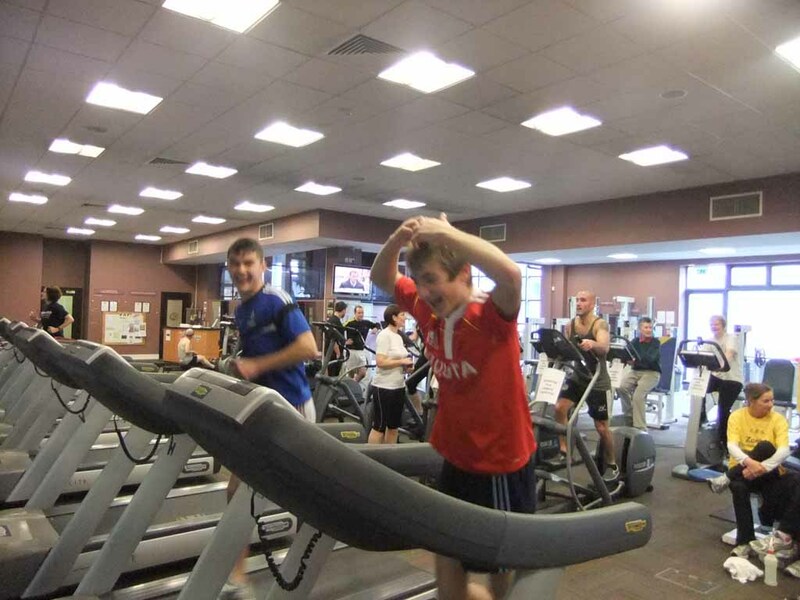 There are great prizes to be won with each member of the winning team getting a three month membership for the gym and second prize being a €25 voucher each for Studio One Salon/Hairdresser. There will also be a spot prize on the day. Everyone is welcome to partake! 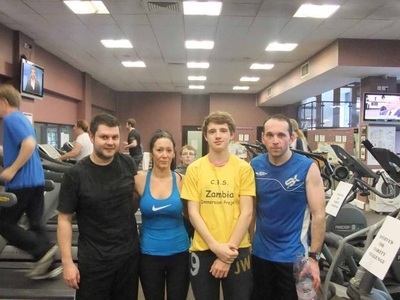 I went on my 10km sponsored run of Slieve na mBan on Thursday the 14th of November in order to raise funds for the Zambia Immersion Project 2014. It sounded like a good idea at the time but when I got up that morning and saw the weather outside I knew I was in for a tough climb. My reluctant dad was forced to drive to me to the small village of Kilcash, where I began my climb along with him and my faithful dog. 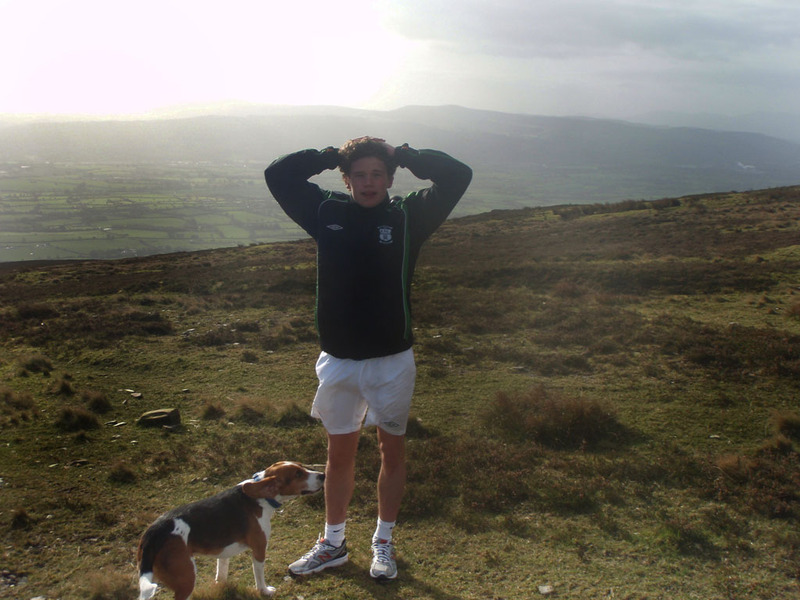 As I got higher and higher up the mountain I started to feel the effects of that gale force wind more and more. But with fortitude and endeavor (and also not wanting to look like a wuss) I reached the peak. The wind turned from foe to friend as it assisted me back down that mountain in half the time it took me get up. Although the weather conditions made my challenge extremely difficult, my sense of achievement once I had finished made it all the more worthwhile. As part of my fundraising for the Zambian Immersion Project of 2014, I approached my primary school, St. Canice’s on the Granges Road with the idea of a fundraising event. 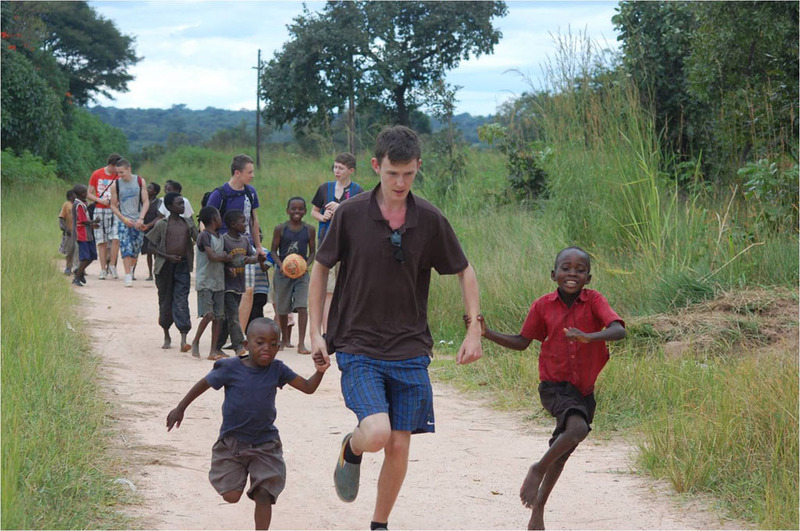 As a past pupil I thought this was a great way to raise awareness for the trip and to also educate younger children on the importance of these visits and what we will do in Zambia. 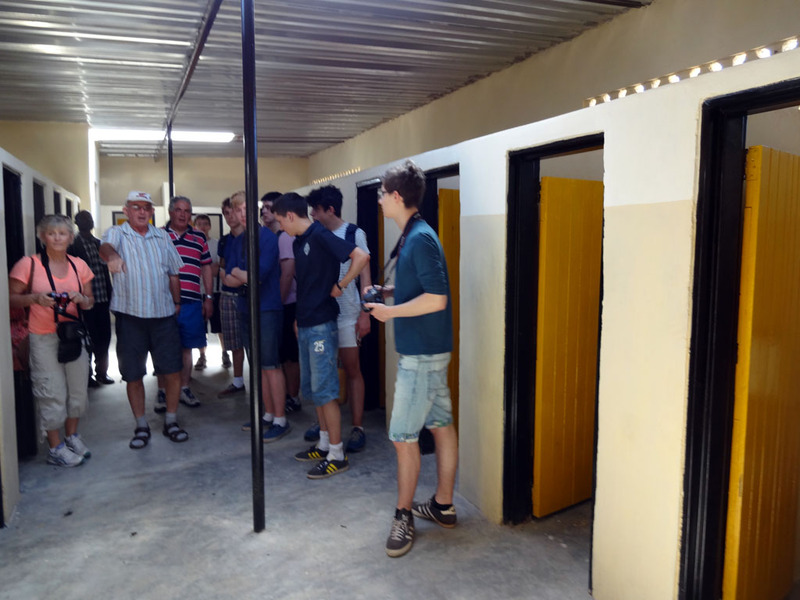 The school organised a no-uniform day in aid of the Immersion Project and in return I decided that I would give a presentation to some of the classes in the school. I decided to do this because it would educate the teachers and the children and also allow them to ask me questions about Zambia. Using photographs from the Zambian Visit of 2012, I created a Powerpoint presentation that illustrated what the aims of the project are, how we achieve these aims and what are the results of the project. 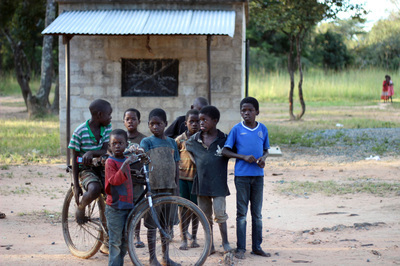 In my presentation, I talk to the children about where Zambia is in Africa and about its natural resources, i.e. copper. 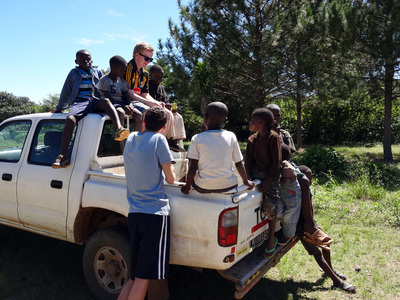 I tell them about the journey to Zambia and effort that students and teachers alike put into the trip. 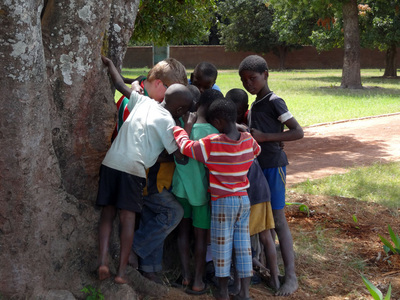 I tell them about the places we go to such as schools, the AIDS orphanage and the feeding programmes. Above all, I show them what life is like in Zambia and how we attempt to help the people in Zambia to help themselves. I hope that this fundraiser will help to raise awareness of the Immersion Project through the teachers of the school, the children and also the parents of the children. That is the main objective of this event and I hope it will be very successful. 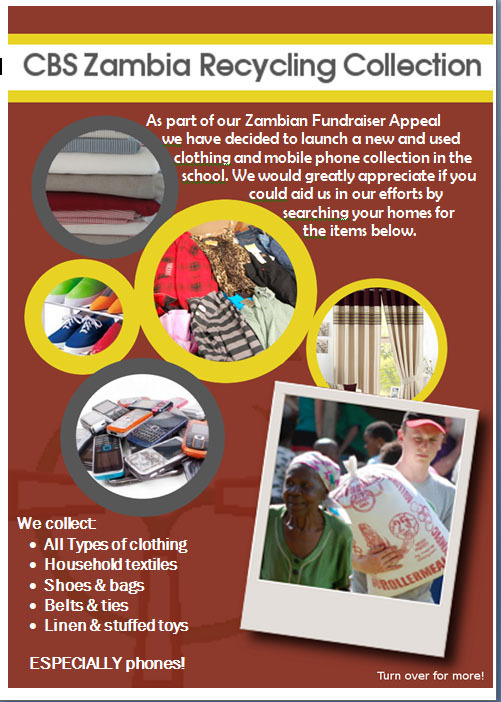 I would like to thank St Canice’s for giving me this opportunity to raise awareness for the Zambian Project and to raise money. 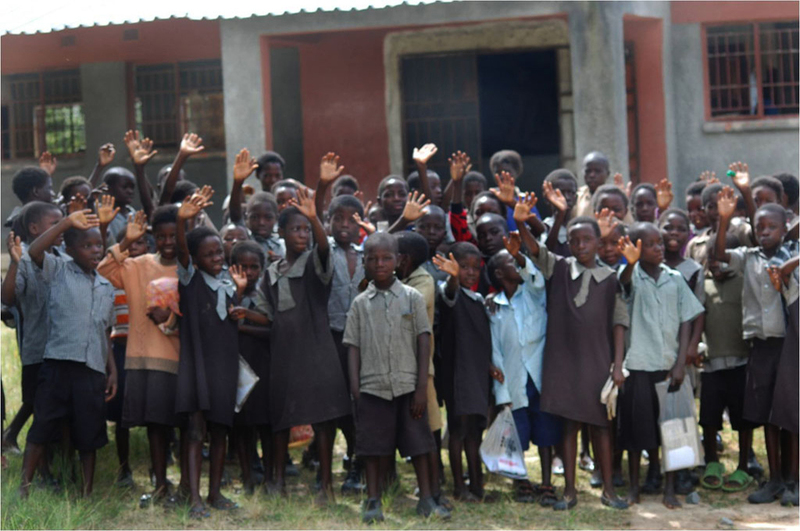 I gave the presentations on Wednesday the 6th of November and enjoyed educating the very interested children about Zambia. Again, I just want to thank Ms. Comerford for making it possible and all the children for bringing in money to support the project. Kevin Barrett and I, Seán Connolly, thought of this idea when we had to think of a way to raise money for the Zambian Immersion Project. We thought about many topics, but recycling books was the best option. 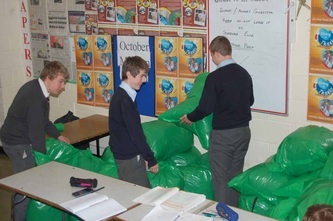 When we first researched the prospect of recycling books we were shocked to find that schools who engage in this form of recycling receive a paltry €2.50 per tonne of books collected. At these rates an articulated lorry full of books would be worth less than €100. 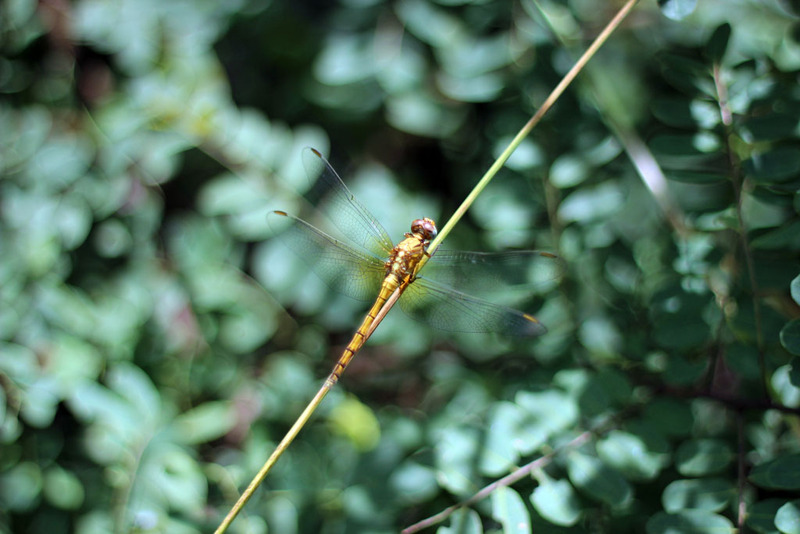 We decided there had to be another way – hence EcoFiction. 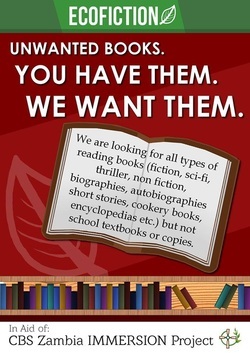 So we came up with the idea of setting up a mini company that would sell any unwanted books to members of the public. Then we had to ask ourselves "Where do we get the books to sell?". We then thought about asking the students if they had any unwanted books, novels, etc., that are not school textbooks or copies, at home that they would be willing to donate to us. 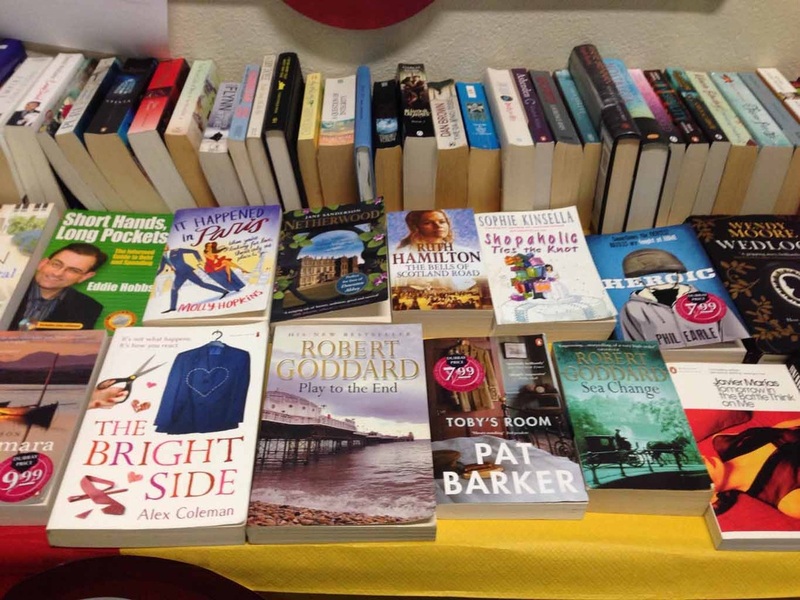 We could then sell these books on our own website, http://ecofiction.weebly.com, or in the school, eg. at parent teacher meetings, for reasonable prices. You can drop your books into the G.P. 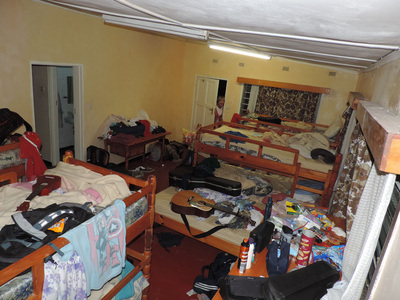 Room, at any time of the day, where we will log the books and put them onto our website. 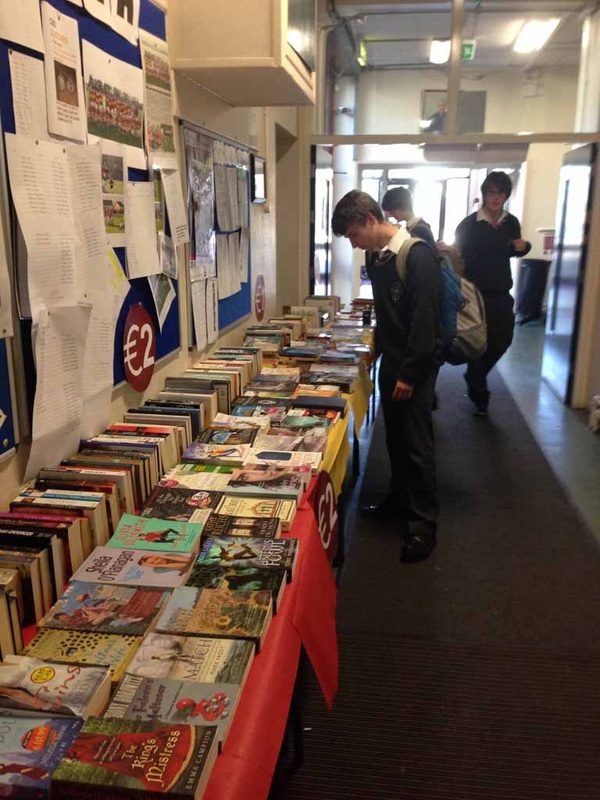 Any books bought on the website will be either collected in the school, or to be sent out by post for a higher price due to postage charges. 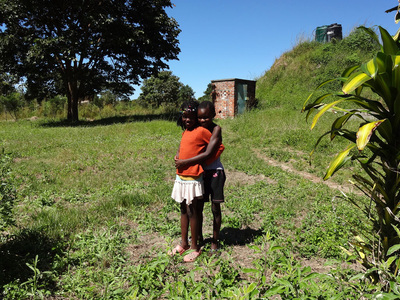 We would greatly appreciate a donation of books, no matter how small, to contribute to our efforts to raise money for the Zambian people. Another terrific fundraising idea has been launched by TY students, Ben Thomson and Jack Lawlor. 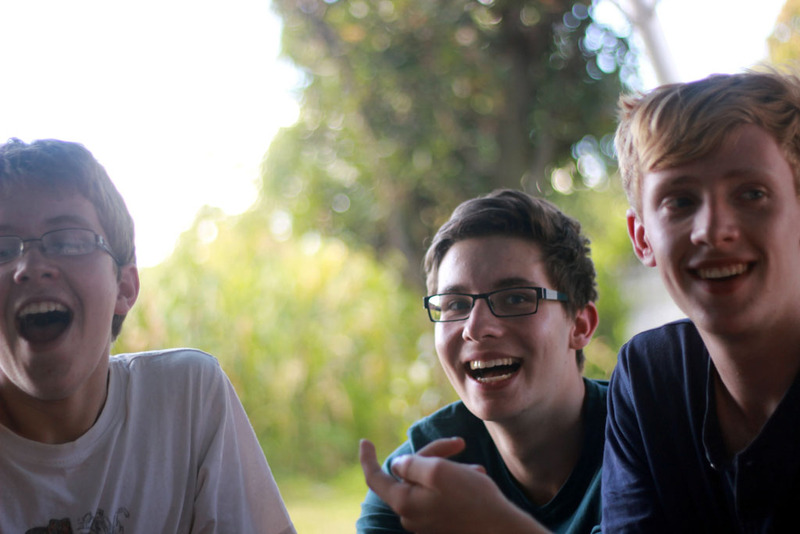 Ben and Jack and some of their talented friends have planned a musical evening to support the project. 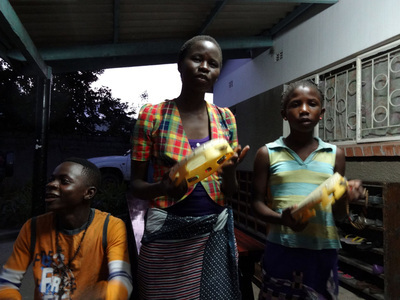 A wonderful night showcasing young musical talent awaits -and all for a very good cause too. The concert is on the 30th of October, 7pm and tickets are 5euro at the door. The musicians playing are: Ben Thomson, James Corcoran, Aoife Doye and Feibhar Baldwin Wall. It is being hosted by Jack Lawlor. 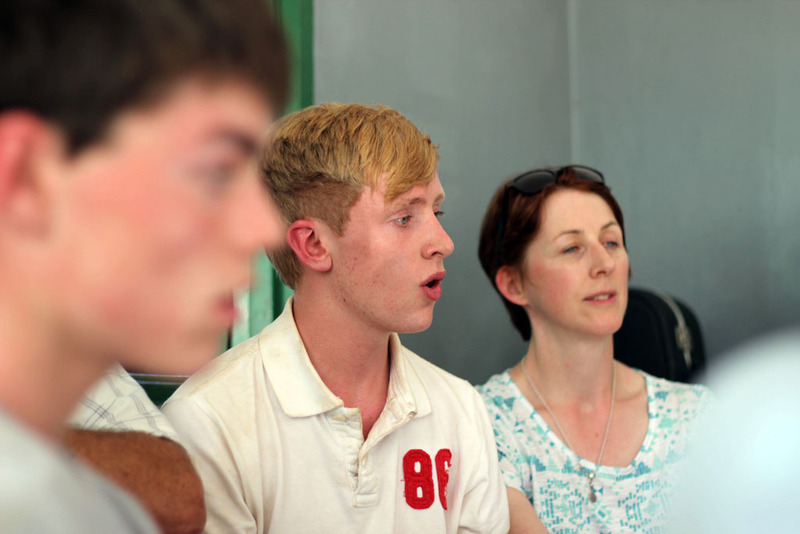 The concert is being held in the Drum Youth Centre Kilkenny. Food and Drinks will be for sale at the event. 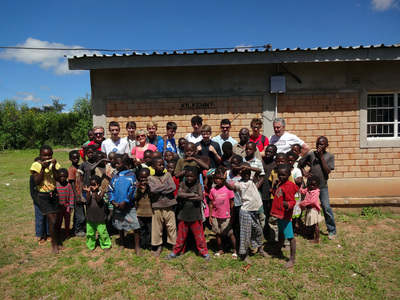 On the 30th of October Ben Thomson and I (Jack Lawlor) held our charity gig in aid of the Zambia immersion project. 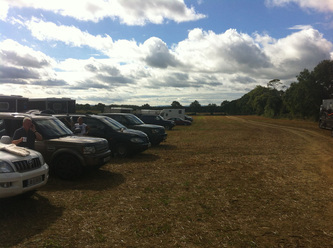 At 6 o’clock we organised the venue for the gig. It was held in the Drum Youth Centre who kindly gave us use of the venue for the night. On the weeks prior to the event a lot of preparations were made such as sourcing musicians and equipment for the gig. We also went on KCLR where we spoke about the concert and the Zambia immersion project. Ben Thomson also performed a song. The gig started at 7 o’clock and a steady stream of people entered the venue. The night went perfectly and was really enjoyable. The acts who played were Aoife Doyle, Ben Thomson, James Corcorcan and Feibhar Baldwin-Wall. Special thanks to all the people who helped make the night possible. 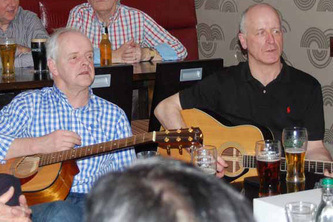 We would also like to thank Colin Dempsey and Craig Byrne who provided refreshments at the gig. 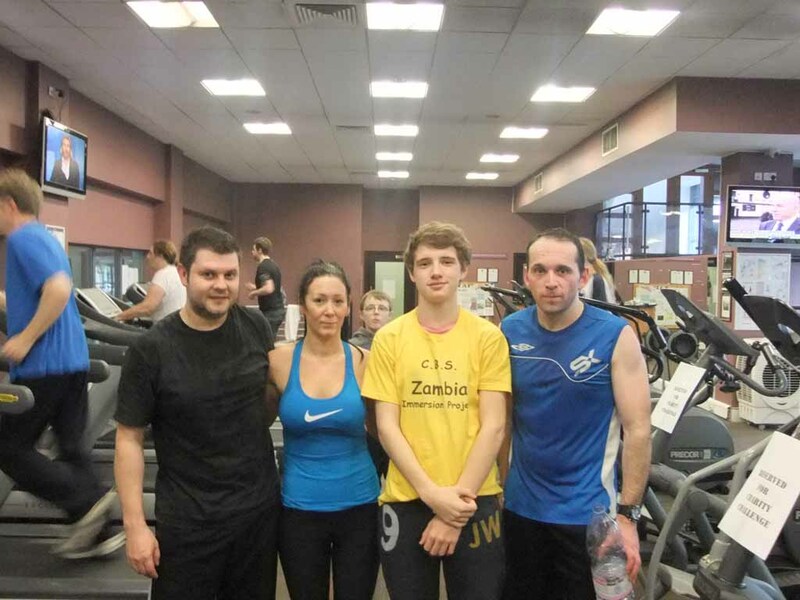 Finally we would like to thank all that came along to support us, it was a great help having you there. 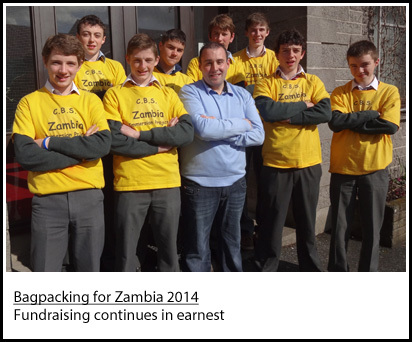 Students in CBS Kilkenny are continuing to do tremendous fundrasinig for the Zambian Project. 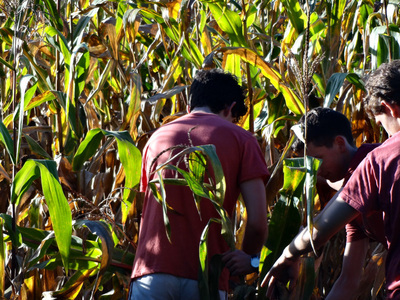 Their efforts and enthusiasm are matched only by their creativity and willingness to do some hard graft! 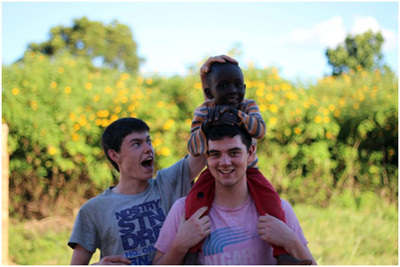 To raise awareness of the Zambia Immersion Project, TY student Evan Stapleton has given a speech about the project at his local church in Ballyfoyle. 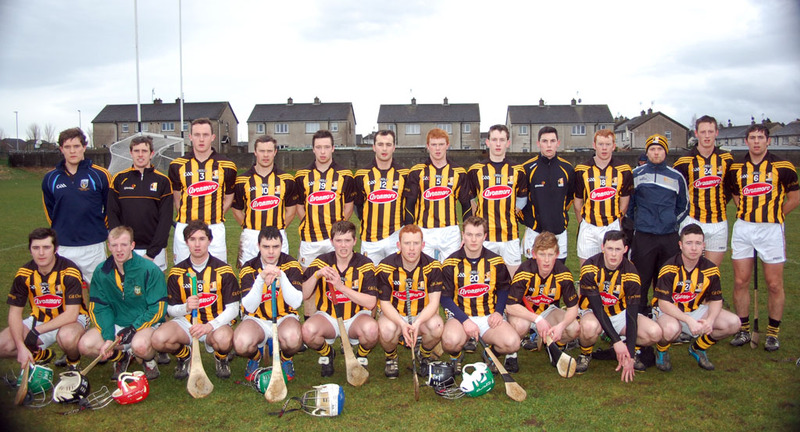 However, Evan will put his words into action on Saturday and Sunday, the 19th and 20th October, in Ballyfoyle. He has organised a car wash campaign and is willing to clean your vehicle for a very modest cost. 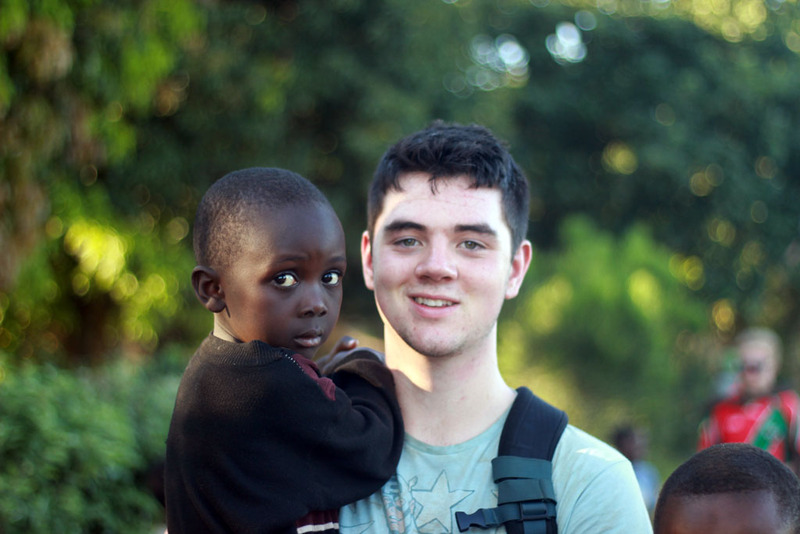 Your support will be very much appreciated by Evan and the whole Zambia team. 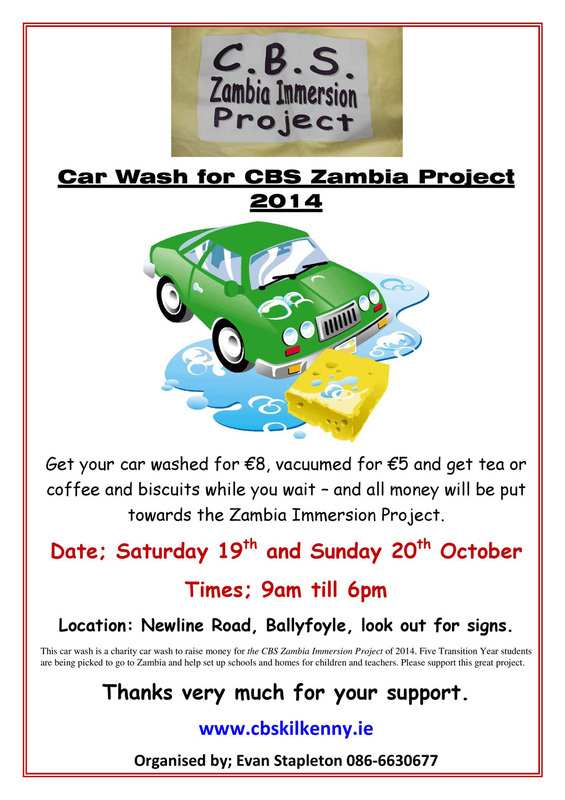 On Saturday and Sunday, the 19th and 20th of October, I organised a Charity Car Wash for the CBS Zambia Immersion Project. Two of my friends, Eddie Byrne and Jack Doyle, and I washed cars from 9am to 6pm on both days. 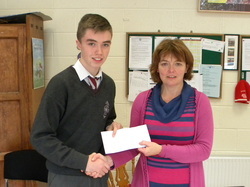 We were very busy on both days and we raised and amazing €1051.10! We were over the moon. I would like to take this opportunity to thank my two friends for all their help, my parents for making tea and coffee for everyone, and most importantly, I would like to thank everyone who came along to support me. Without ye, I would have never raised that much money. Philip O'Donnell has recently raised considerable funds for Zambia 2014 by holiding a charity ride. 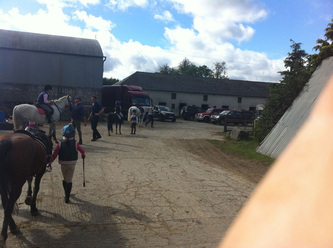 The charity ride took place on 21st September in Gowran. It was open to anyone on a horse or pony and went across local farmland. 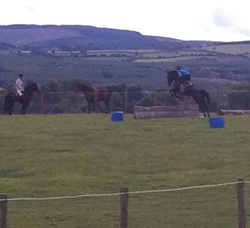 Participants jumped a combination of natural and temporary fences. A great day was had by all and Philip raised a staggering €1000 for the Zambia Immersion Project. 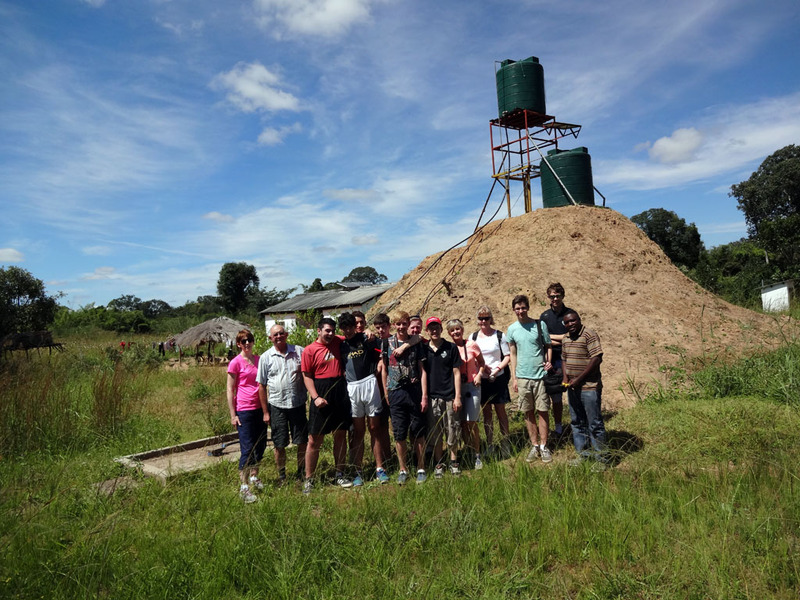 All students who are interested in applying for a place on the 2014 visit to Zambia are asked to organise a fundraising event of their choosing in a bid to raise both funds for and awareness of the project. 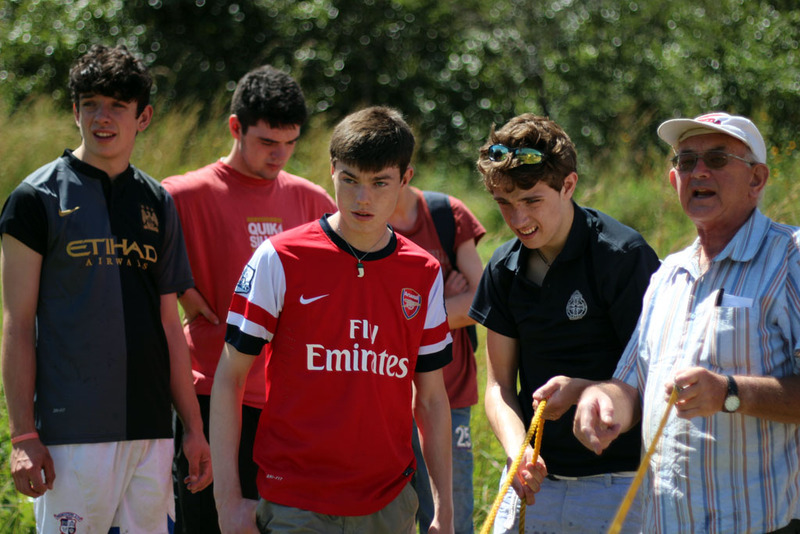 The breadth of expertise that the students display in this area is very impressive. All applicants should be justifiably proud of their effort and commitment. As part of our continued Immersion Project and our raising awareness of development issues in the wider school community, two African Brothers will visit our school on the 8th of October 2013. 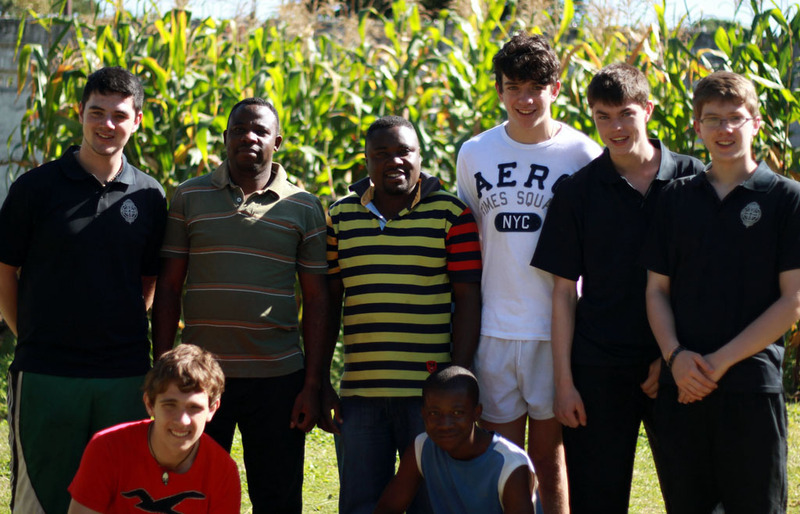 Brother Stephen Chewe from Zambia works in Kabwe in the copper belt where he set up and manages the Edmund Rice youth project. 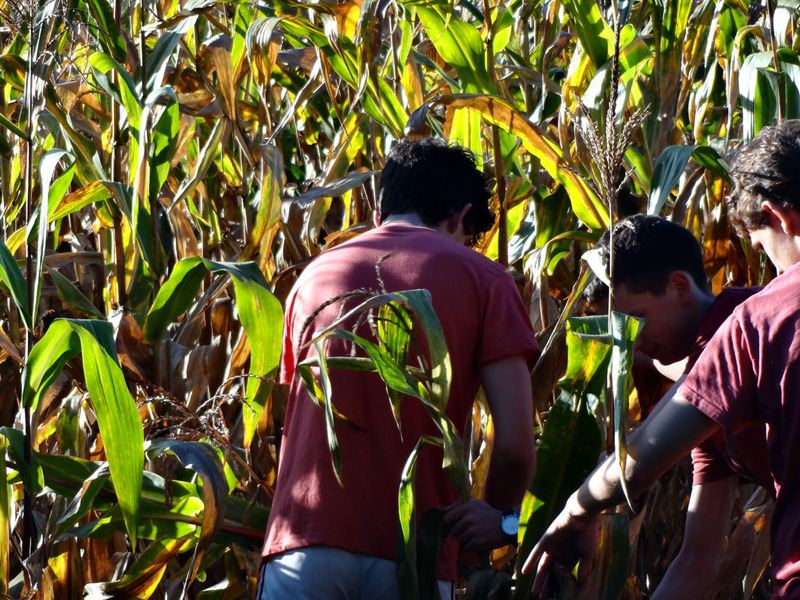 They work with local teenagers and adults to provide them with the skills and training to find work. Brother Dermot Ambrose is no stranger to the CBS. Having spent very many years working in Zambia his insights into all issues of Development will prove both interesting and informative. We look forward to the visit of both Brothers. 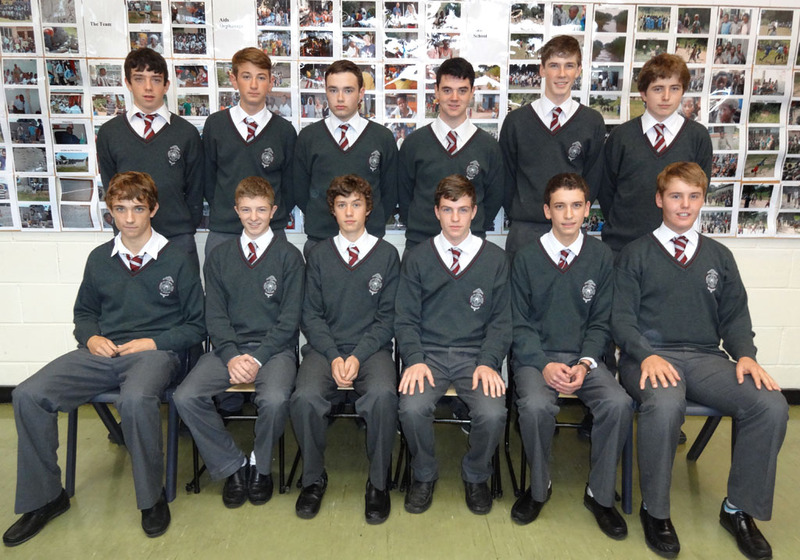 In order to facilitate the presentations from the Brothers to the junior class groups and transition year it is proposed to have two classes per session in the GP room throughout Tuesday the 8th of October 2013. 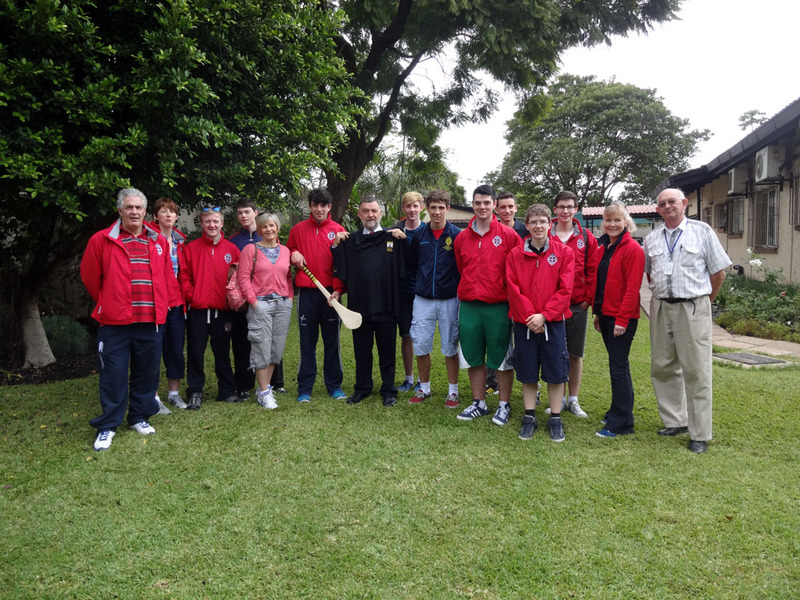 Representatives from CBS Kilkenny Zambia Immersion Programme were bag packing in Supervalu Loughboy Kilkenny on Wednesday 17th & 24th April, 2013 from 10am – 8pm. 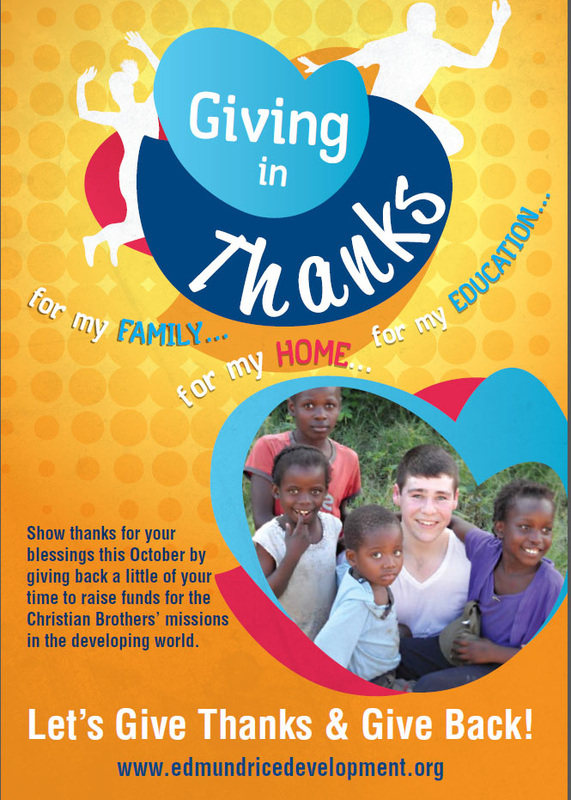 This is to raise much needed funds for the Zambia Immersion Project, 2014. We are very grateful to Supervalu for facilitating us with these dates. 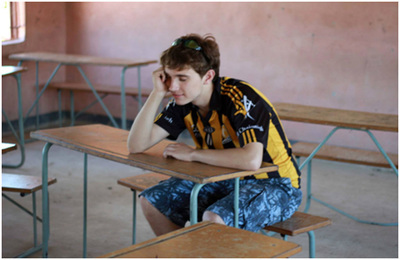 A great night of fun, music and chat was enjoyed by a large crowd of parents, staff and supporters of CBS Kilkenny who came along to the Pembroke Hotel on Friday 8th March, 2013 to support our fundraiser for the Zambia Immersion Project. Mr. Gerry Moran was M.C. on the night and the music was provided by local trad and folk groups, the CBS Senior Choir and students from the jazz group in the school. The Parents’ Council wishes to thank everyone for their support on the night. 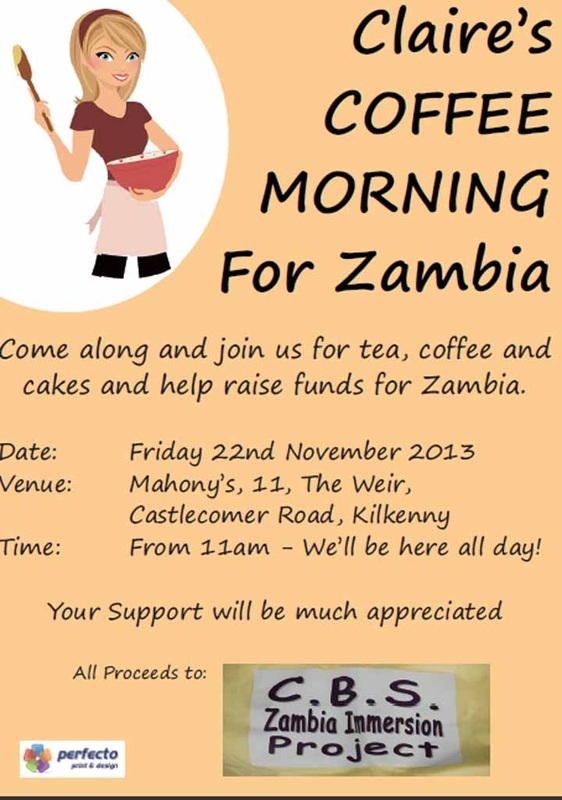 €1900 was raised for the Zambia Project.